You can have the most fun life. It’s not as hard as you might think. To enjoy an extraordinary time in this world, it’s largely a matter of who’s around you, what you have, and where you are. 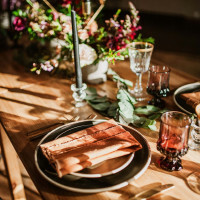 Naturally, the best move on your part, if those things have lined up well, is to throw a party—any kind of party, from cocktail hour to wedding. 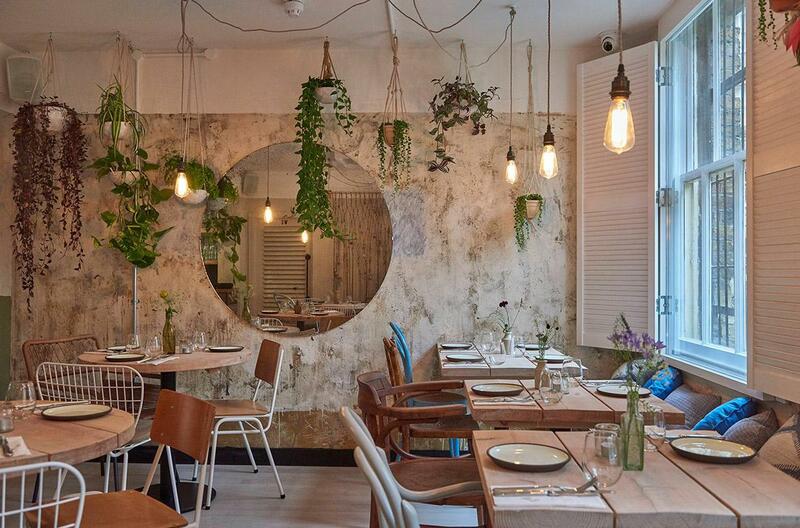 Housed in a 19th Century building, this divine eatery came to woo your taste buds in 2016. 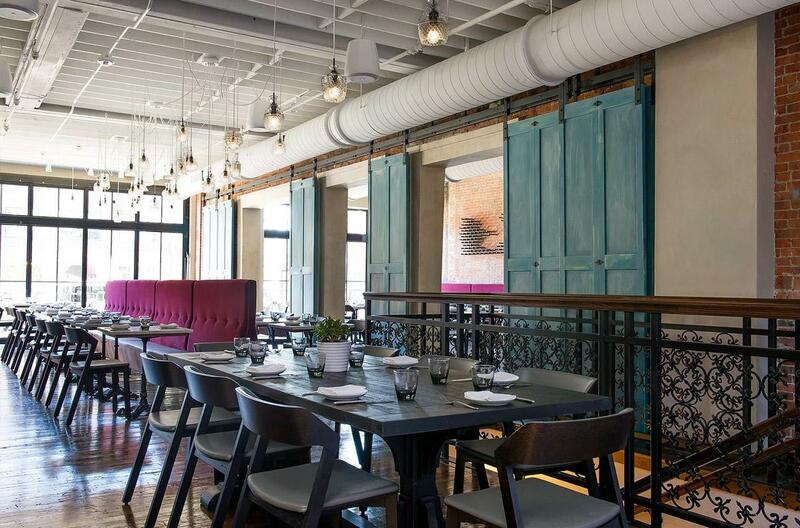 This cozy restaurant features seasonal dishes with an Eastern Mediterranean home-cooking twist. Full of natural light and divided into four areas, so you can change things up, it’s hard to find a better spot to chat, laugh, and eat well. 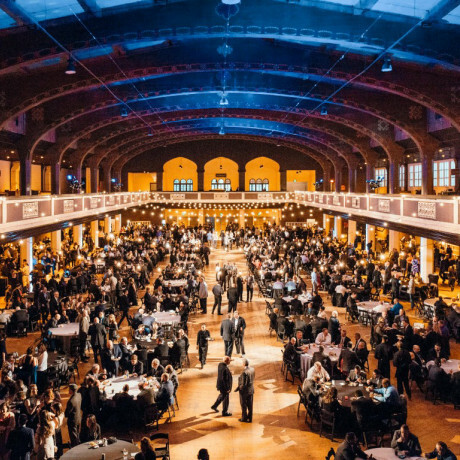 In 2016, this slick venue burst to bright life on historic Congress Avenue. Even in lively downtown, this killer joint catches your attention with modern design as well as original exposed brick and foundation walls. The place also comes with a state-of-the-art sound system, VIP room and private entrance, as well as a projector with a 200” projecting screen. 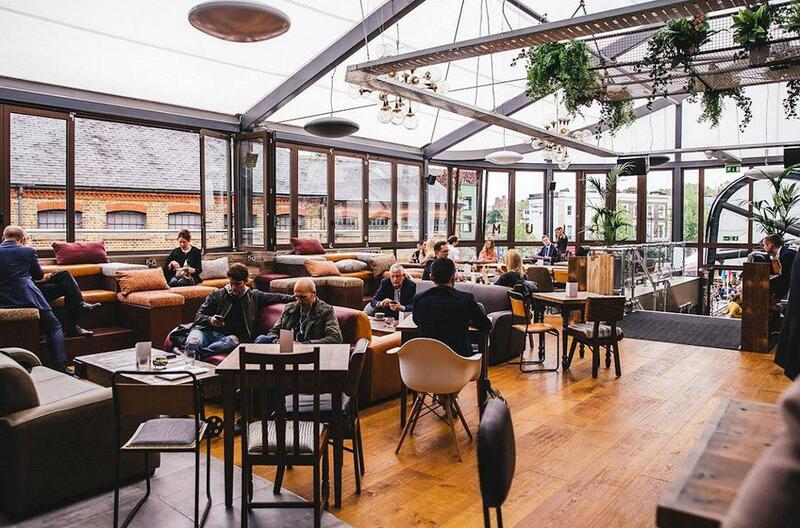 When 2016 rolled around, this immediate Camden Market hot spot charmed everyone with its contemporary breakfast, lunch, and dinner menus. Additionally, it’s three innovative and modern spaces altogether, so you’re treated to a versatile experience. The whole thing feels like an oasis, with its huge windows and open dining space. In 2016, the City of Angels welcomed its first premium social club for families. 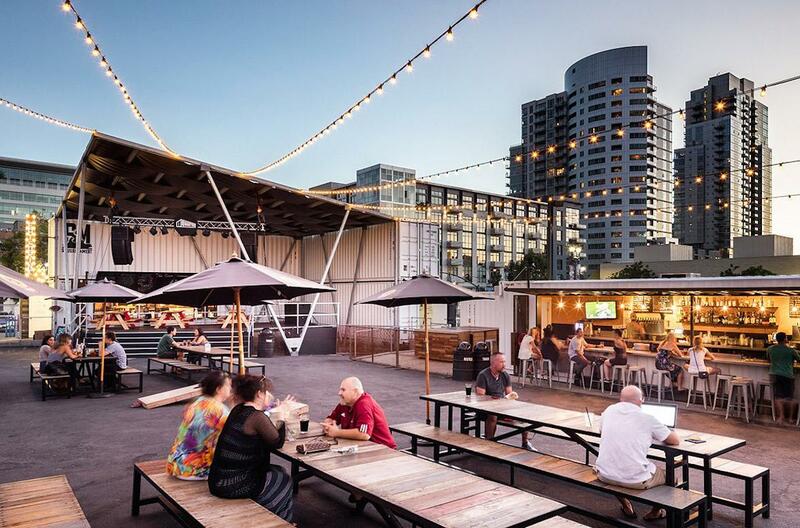 This go-to spot for adults and children alike delivers a restaurant, bar, marketplace, creative space, and classroom, all in one. Nobody of any age has made it here and not left grinning. 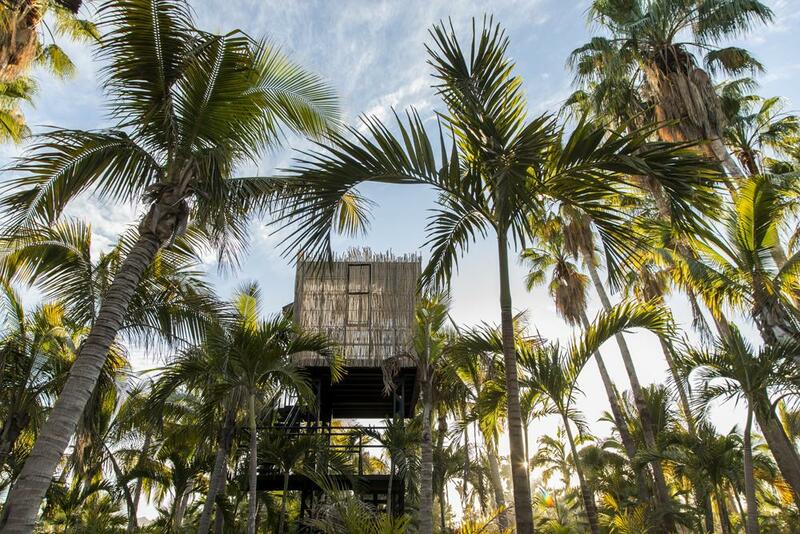 Sitting on 1,089,000 square feet of farmland, adjacent to San Jose del Cabo, is Acre. This new cocktail bar, restaurant, venue and small treehouse colony (Coming in Winter of 2017) is simply magical. 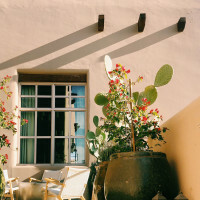 With interiors all locally made in the Baja or the Mexican mainland that pays tribute to the authenticity in their surroundings. Opening in Fall of 2017 in Aurora, Illinois is Company 251. The 1908 historic building, previously known for housing the international harvester manufacturing co., has had a serious facelift. 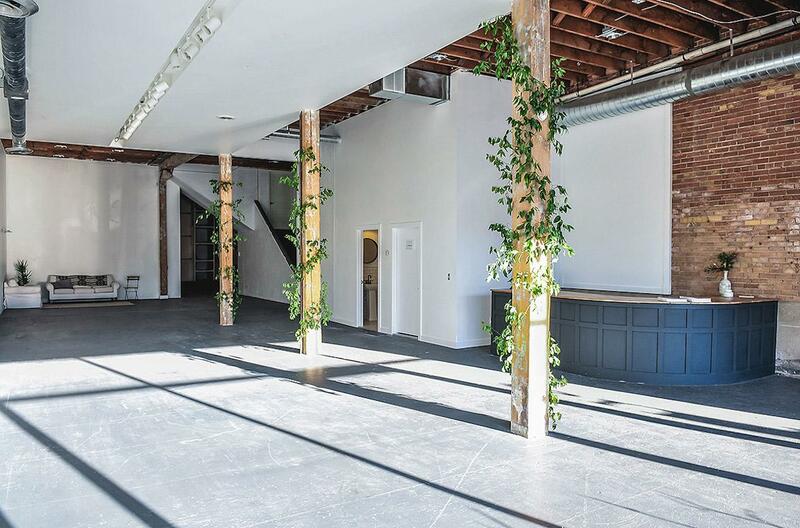 The industrial warehouse is one of the most anticipated event space openings this year as it will host private events, concerts, productions, exhibition and corporate + private parties. The gem of Sumner County breathed fantastic new life in 2016. Originally built in 1850, this large white plantation home welcomes you to several acres of southern country charm. With its natural settings, just about any style or budget can work here. Anything can and will happen here. 2016 gave us the most colorful retro-chic venue around in the form of a 100-year-old ice cream factory space that has reopened as a sunlit garden room. 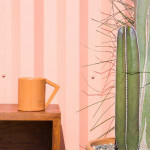 It has vintage furnishings, original artworks, and hand-crafted surfaces. It also has an audiophile-quality sound system, so welcome to the good life. This is one of the most unique spots in the city. 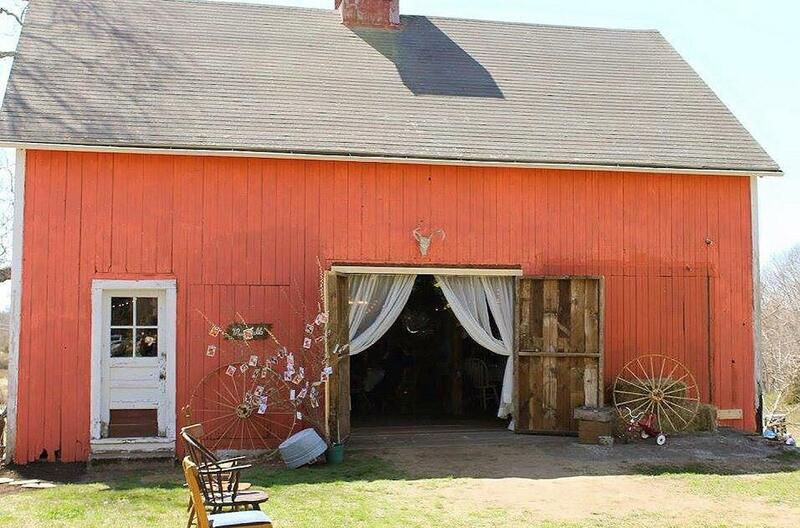 As of 2016, the dream of celebrating year-round became a gorgeous reality when this epic barn venue opened for business. Beautifully secluded on 50 acres of rolling hills, mature trees, and open fields, this place looks like it’s straight out of a romance novel. Once a beloved home more than 100 years ago, this historic Victorian has a fresh, new attitude as of 2016. Promising glorious views of the vineyard, the soaring two-level tasting room has been dramatically restored with rich textiles, Victorian curious, and original marbling art. 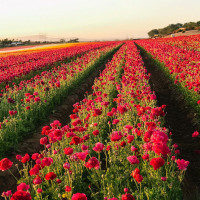 It’s time live well in Napa Valley again. This brand new bed and breakfast welcomes you to coziest life ever with million-dollar pastoral views and sunsets that don’t quit. It first blessed western Loudoun County in 2016. This is where you go to relax and feel the American countryside pumped through you. 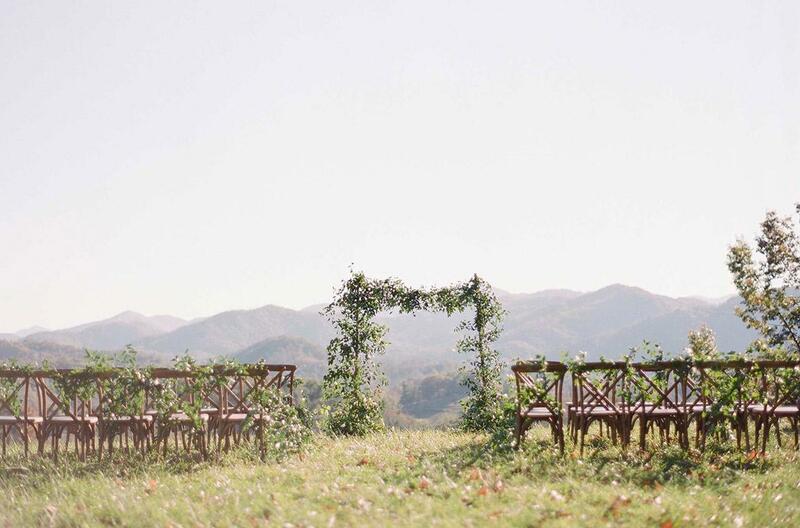 It’s an enticing countryside oasis surrounded by the Blue Ridge Mountains and an endless sky in every direction. In 2016, dreams straight up came true! The Windy City fell in love with Mexican style alongside European tradition at this best-of-both-worlds joint. So drink delicious new world interpretations of classic German, Austrian, and French styles of beer, which were what the Mexico City locals were adoring back in the 1860s. 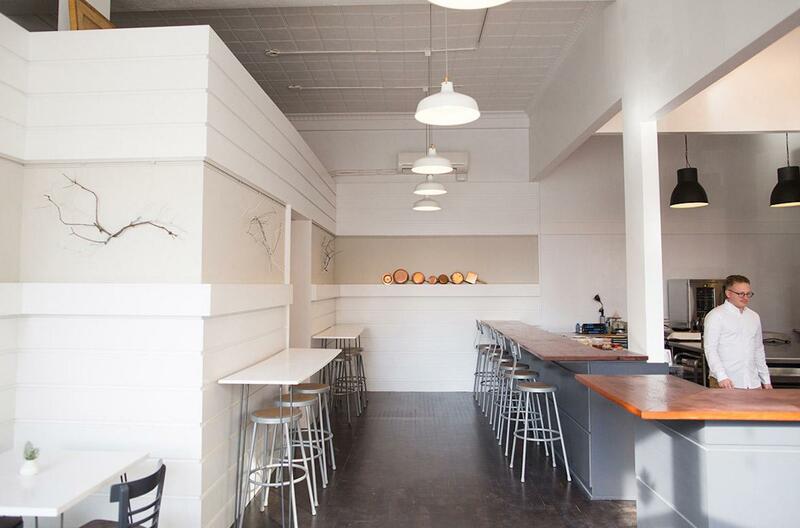 Also, seriously, who hasn't fantasized about a brewery with a walk-up taqueria counter? In 2016, it became the easiest thing in the world to find a good wedding planning team. Immediately ready to start planning dazzling affairs in the Kent countryside, this supportive crew has your back. 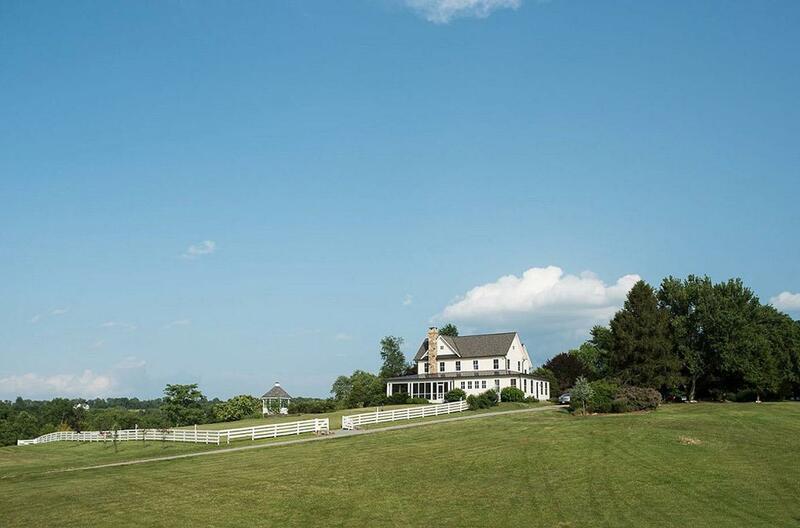 How could you say no to having the run of fields, woodland, and the vineyard at Farnell Farm? In 2016 the North Park neighborhood stunner, Communal Coffee opened up their intimate venue space Communal Lounge. 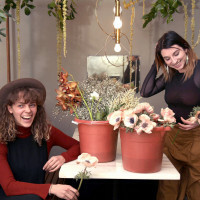 Offering up a bevy of caffeinated beverages, fresh flowers and a darling shop allows for an amazing event experience at this cute cafe. All the wild hearts fell in love with pretty much everything about this place in 2016. We’re talking century-old oak trees, rolling hills, and downright spectacular sunsets that change the palette of the landscape. 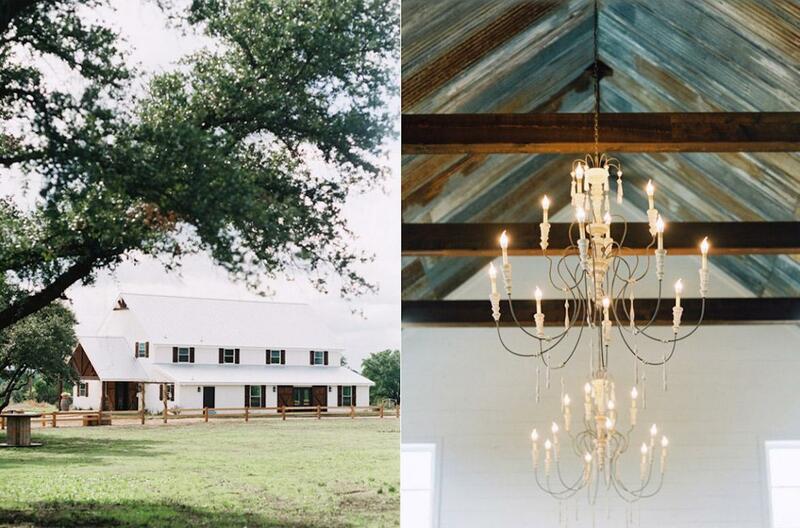 Plus, the reception barn features tall vintage metal ceilings, antique furnishings, and epic views of the Brazos River Valley. Founded in 2016 as a bold fantasy of a husband-wife wedding photography team, the venue literally looks like Heaven. 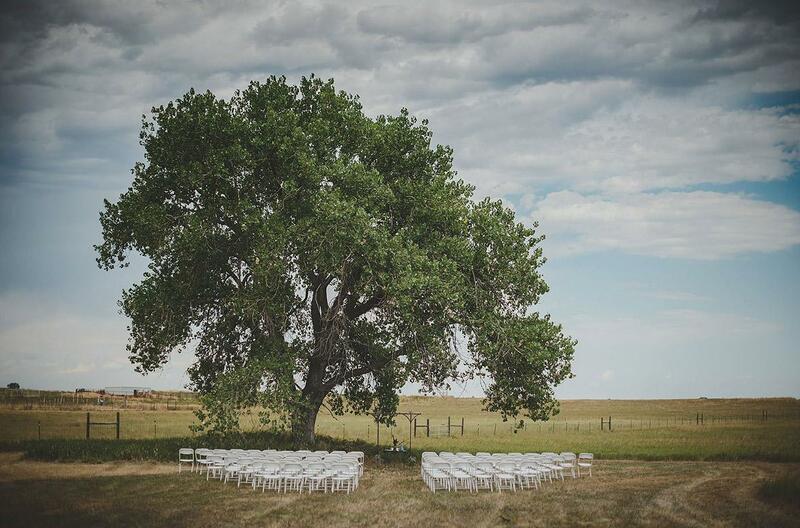 This open and airy all-white venue gives 4,000 square feet of clean slate to work with, not to mention the surrounding 100+ acres of meadows and open fields. Pictures don't even do it justice. In 2016, Gippsland’s oldest space wound up as its newest venue. It looks pretty damn good too, adorning indoor-outdoor portions with wood, iron, and brick. 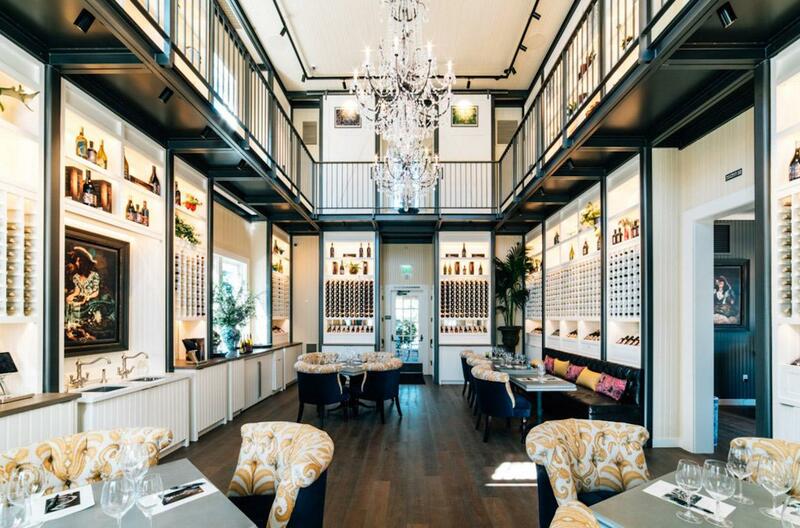 There’s a timeless ambiance to the interior mezzanines and warm ambient lighting. That's why you should get 400 of your nearest and dearest to celebrate in a brand new spot with more than 150 years of history behind it. 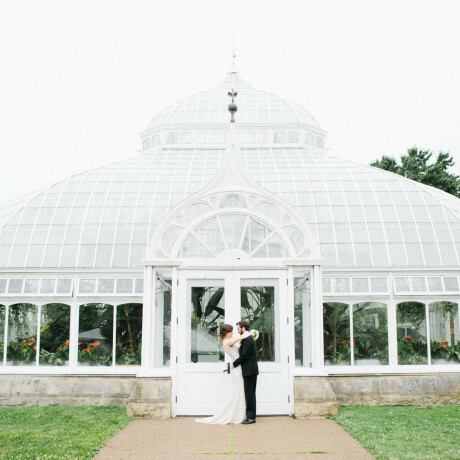 Even though it was built as a farm nearly 200 years ago, these 70 wooded acres became a dreamy venue in 2016. The place catches your attention from the start with its bright yellow barn doors and only gets more charming with restored wood plank flooring, a spectacular wood bar, a grand staircase, and sensational forest views. Up to 200 guests can enjoy a cocktail hour beneath a giant tent or dance the night away in the barn, all aglow by chandeliers. 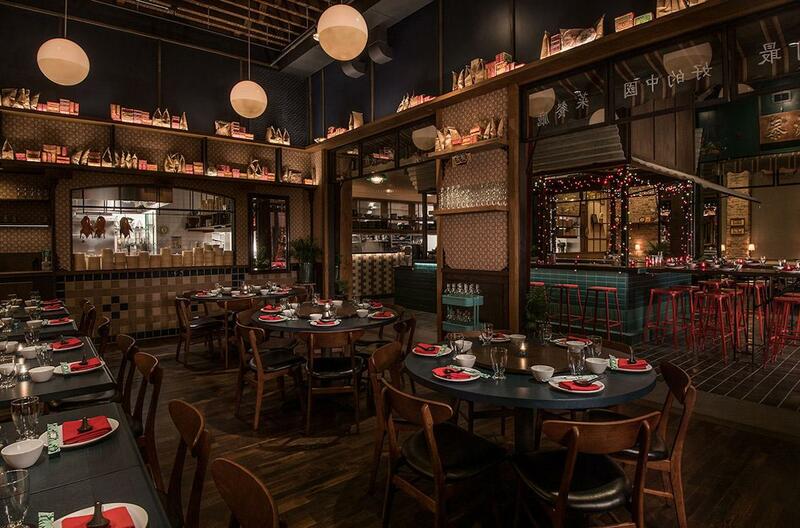 Well, simply put, Fulton Market got the raddest Chinese restaurant in 2016. 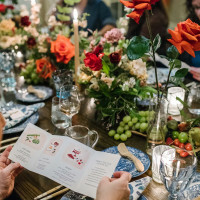 Creative cuisine comes courtesy of celebrity chef Stephanie Izard in this bitchin’ setting, where you can't tell what era of the 20th Century you're celebrating in. All you know is that it's a good vibe you don’t want to leave. 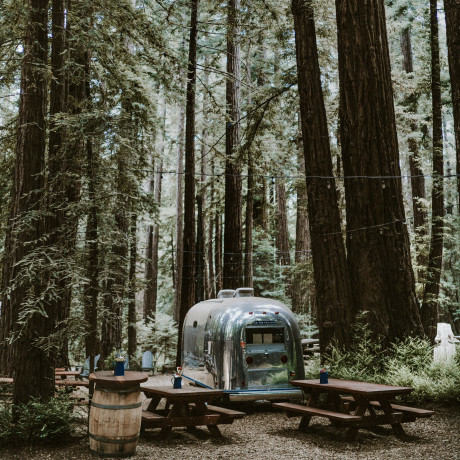 Disappear to the sweet new year-round campsite in gorgeous Northern California, having only opened in 2016. 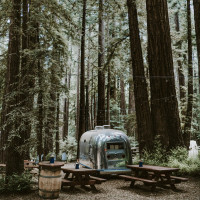 70 campsites tucked beneath a canopy of 2,000 trees make this 15-acre forest property one of the best family-friendly escapes around. 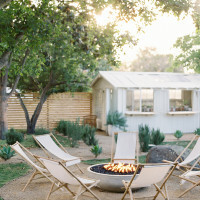 Sleep in a tent, a glamping tent, an RV, or an on-site vintage trailer when you’re not lounging in a hammock, hanging around the communal fire pit, or enjoying beer and pizza in town. This is the life, waiting for you. 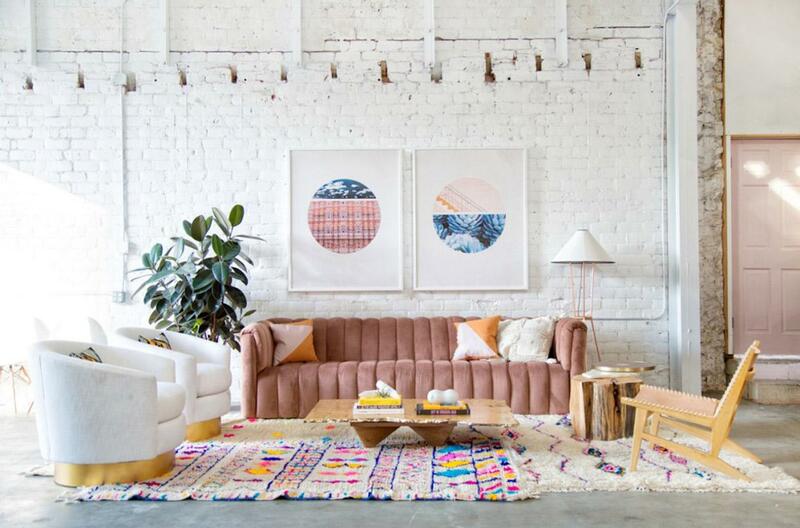 In 2016, the bustling and vibrant neighborhood of Atwater Village scored this bright and airy renovated warehouse. 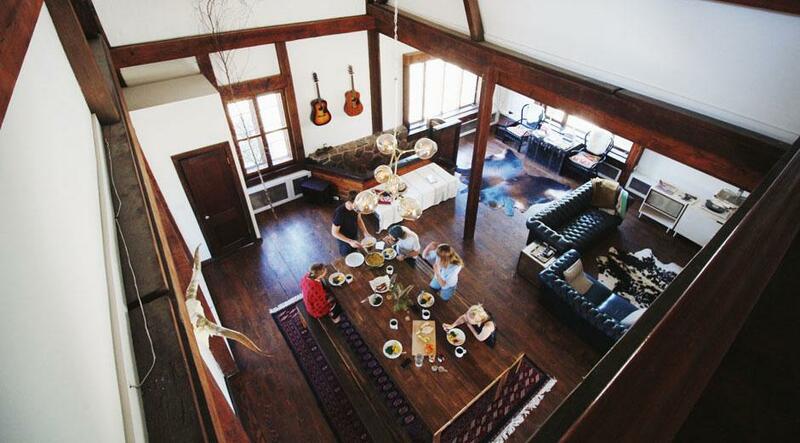 A creative studio when it’s not a venue, the space is the perfect blank canvas to blow your artistic guests away. 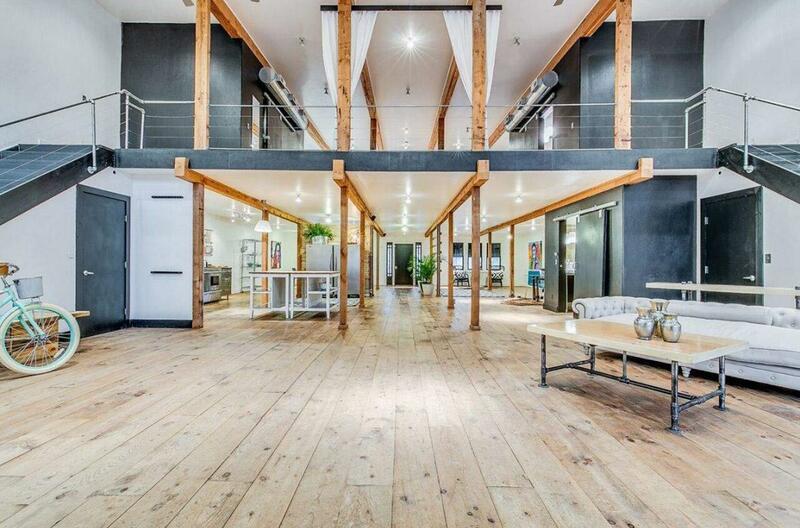 With 20-foot cathedral ceilings and 1,800 square feet of usable space, this crafty spot can serve any kind of event, from photo and video shoots to launch parties, workshops, and pop-ups. In 2016, the pride of Southwestern Michigan started hosting events on its 13 beautifully wooded acres. 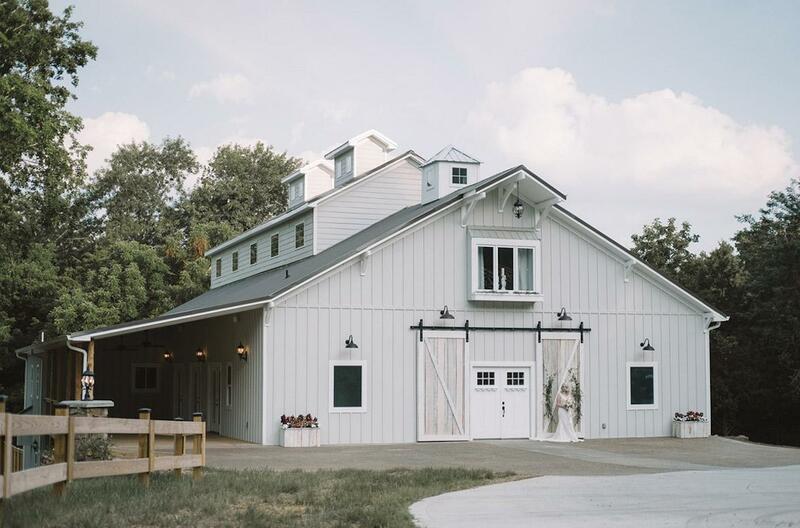 The charming 4,000-square-foot barn space keeps ample space for catering services and is more than ready to tackle up to 200 guests for weddings, family reunions, and work-related functions. It’s classic country style through and through. 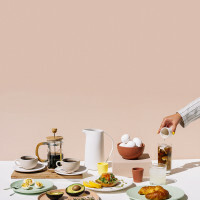 When it opened February 2016, the restaurant was soon called one of the best 50 new restaurants in the country by Bon Appétit Magazine—and rightfully so. 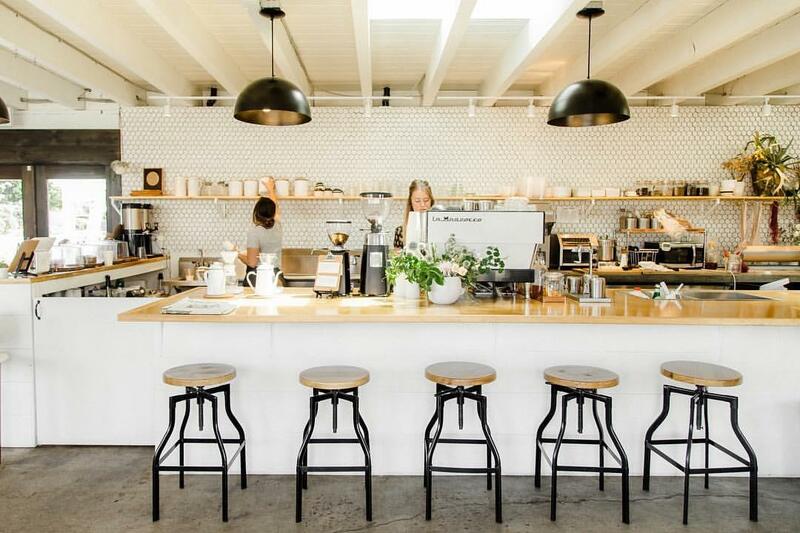 This inviting café is the first brick-and-mortar home for Bread & Salt Hospitality. 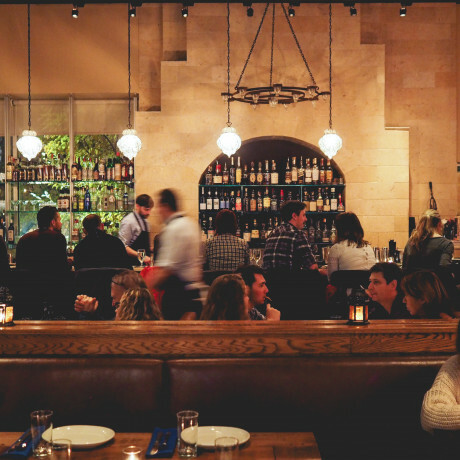 Although it serves delicious food all day in a relaxed environment, it becomes downright magical in the evening. 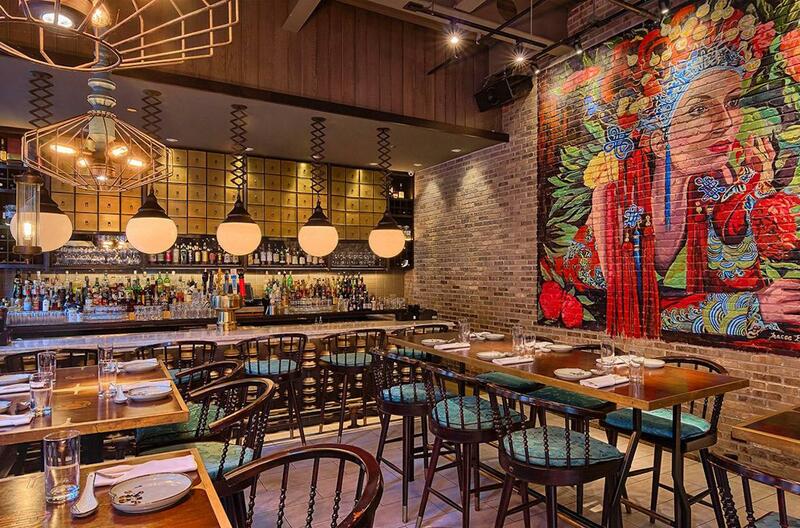 That’s why Boston Magazine deemed it "worthy of destination style dining." 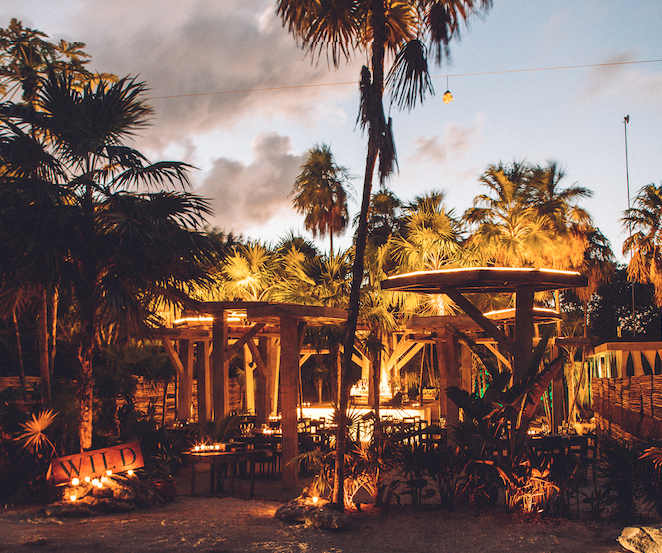 Inspired by Mediterranean and Yucatan culture, Wild (recently opened in Dec. 2016) Tulum hides nestled in the jungle with nothing but the sound of the ocean and star filled sky completing it's open aired lounge atmosphere. 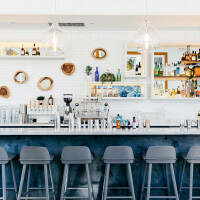 Wild features a variety of meats, seafood, and local vegetables cooked on a wood fired open grill as well as signature libations that compliment the many tastes of the Carribean. 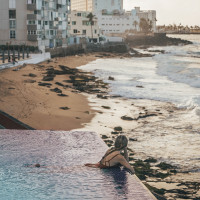 If you are looking for a good time in Mexico, this is our spot! 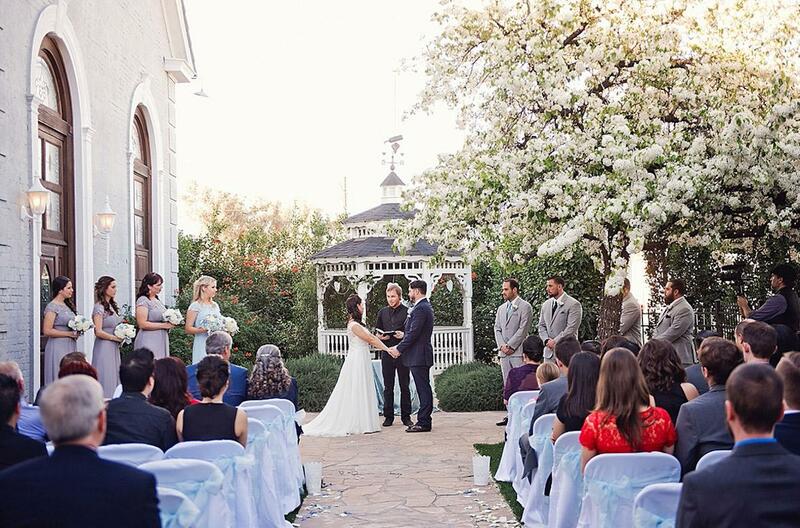 Opened in 2016, this charming ranch-style venue is surrounded by 20 acres of gorgeous horse property. 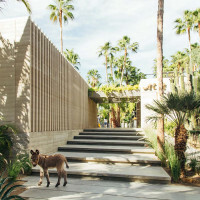 The amazing estate features more than 7,000 square feet of patios, along with a wood-burning fireplace, a heated pool, multi-level gardens, and market lighting throughout. Plus, it has an intimate vineyard and Rocky Mountain views. It's hard not to drop your jaw. After more than a decade, Mario Batali and Joe Bastianich have finally come back to the Big Apple. Their elevated trattoria opened in 2016 looking like a masterpiece and preserving details of the Albert Ledner building. Its palette of gray tones richly blend with accents of white marble, brass, deep red, and blackened steel. 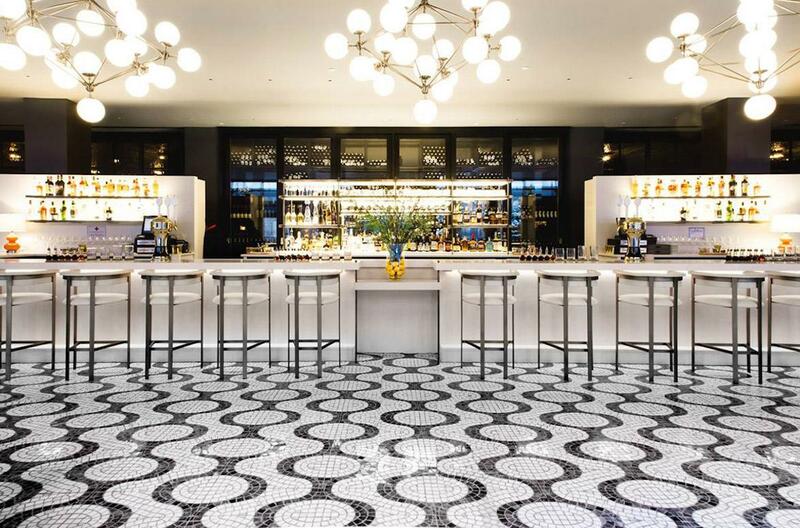 The eatery’s leather chairs and barstools were custom-made in Friuli, and it’s pretty hard not to be impressed by the grand plaza’s 38-foot monolithic Caesarstone bar. How can you not have a lively time in here? 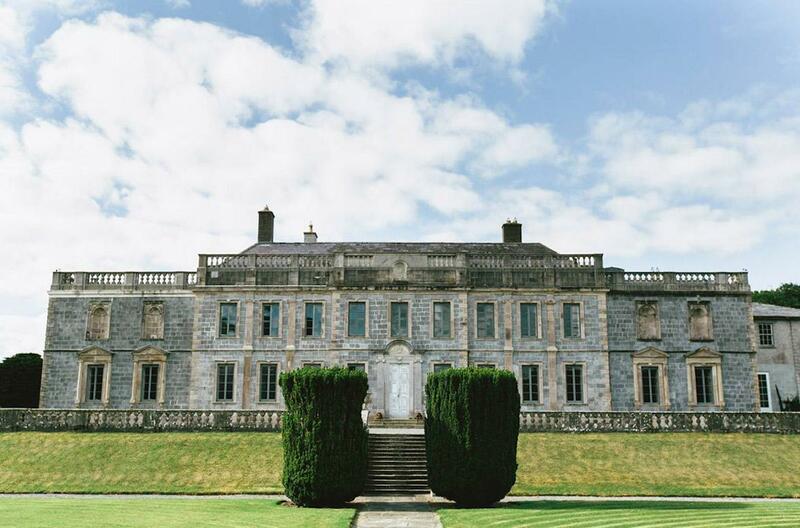 At the foot of the Slieve Bloom Mountains, this 300-year-old estate has been extensively and sensitively restored in recent years. 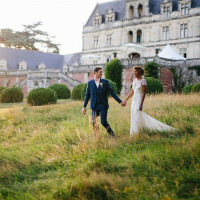 In 2016, this private country house made itself available as a wedding venue with extensive gardens that incorporate terraces, water features, woodland, and lakes. 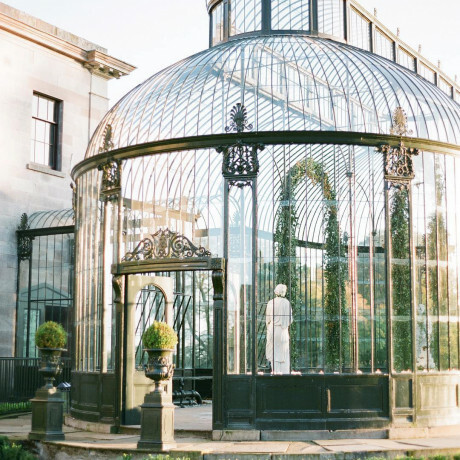 A truly magical place, it has a large reception room that can seat 100 to 120 friends and family, and the historic gardens can fit even more. A cool and casual spot to hang as of 2016, this modern Marfa-inspired space keeps high ceilings and a minimalist attitude. That’s not to say it doesn’t come with goodies. In fact, waiting for you is a commercial kitchen, a 130-inch drop-down projection screen, BassBoss speakers, and vintage wood folding chairs and handcrafted wood tables. Otherwise, bring in all the decor you want. This breezy blank slate is ready for you. Want to host an event and give back to an amazing cause at the same time? 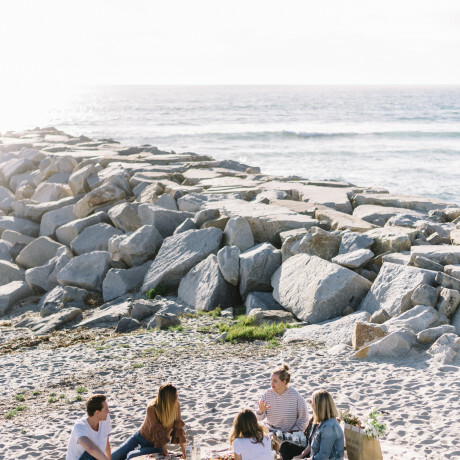 The Freedom Hub not only has a stunning space to gather in, but they are also helping fight against Human trafficking which happens in many industries within Australia. "We help rebuild the lives of people who have experienced this slavery and partner in the global fight to end this crime." 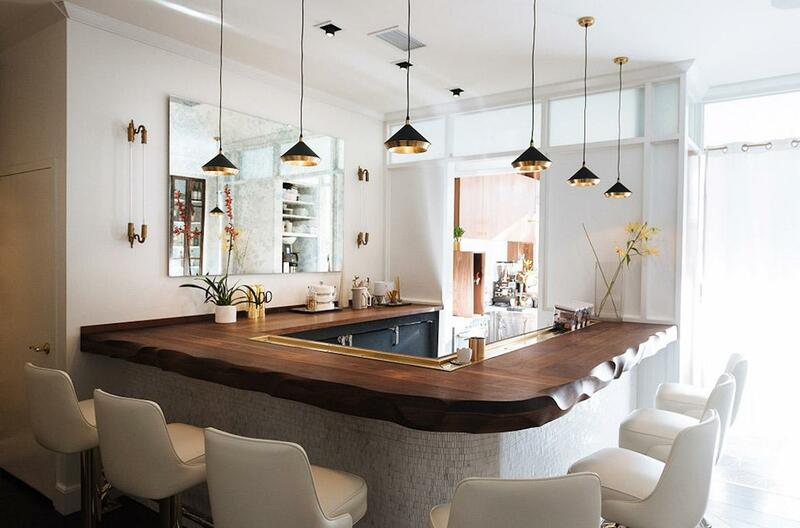 Capitol Hill was lucky enough to land Chef Aaron Silverman's restaurant and coffee bar in 2016. 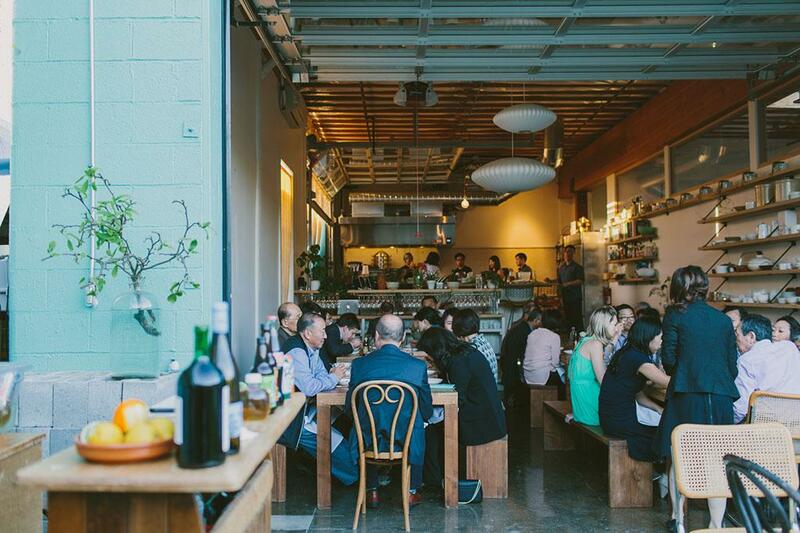 The staff at this fun, intimate eatery love what they do and they do it well. Delight in their elegant yet playful tasting menu that's comprised of 13 courses in a classy yet relaxed dining atmosphere. 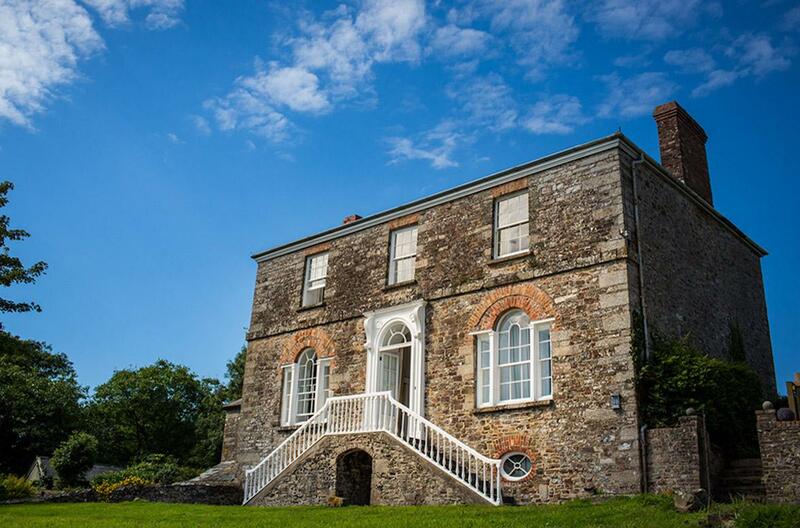 On the Welsh-English border, this epic Georgian brick property practically shines in the sun. 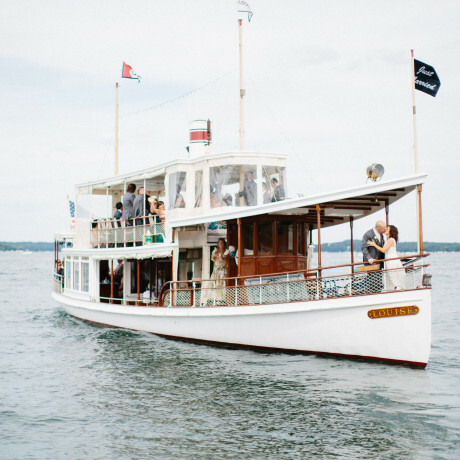 Better yet, as of 2016, after being purchased by the Pugh family and extensively renovated, it’s now available for exclusive wedding hires. 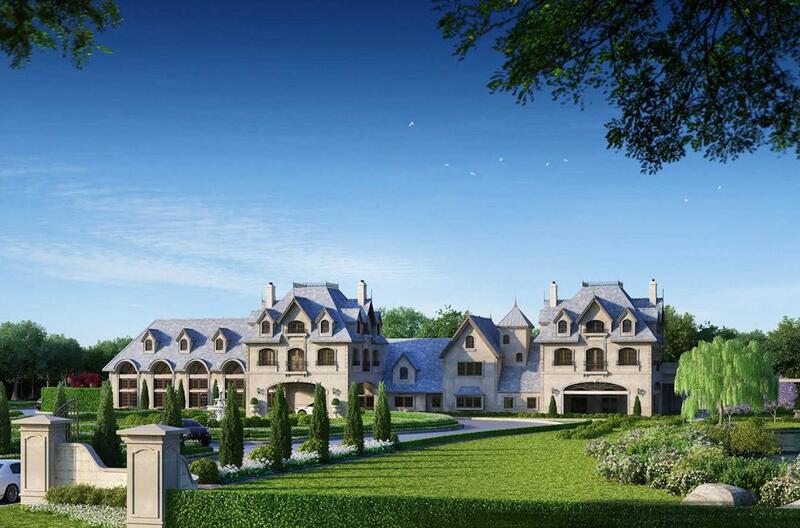 Truly, it has everything you hope a grand estate has, from ballroom to walled garden to working bell tower. The indoor design and decor are as breathtaking as the surrounding outdoor grounds. Panoramic harbor views are just the beginning of this Embarcadero waterfront jewel. 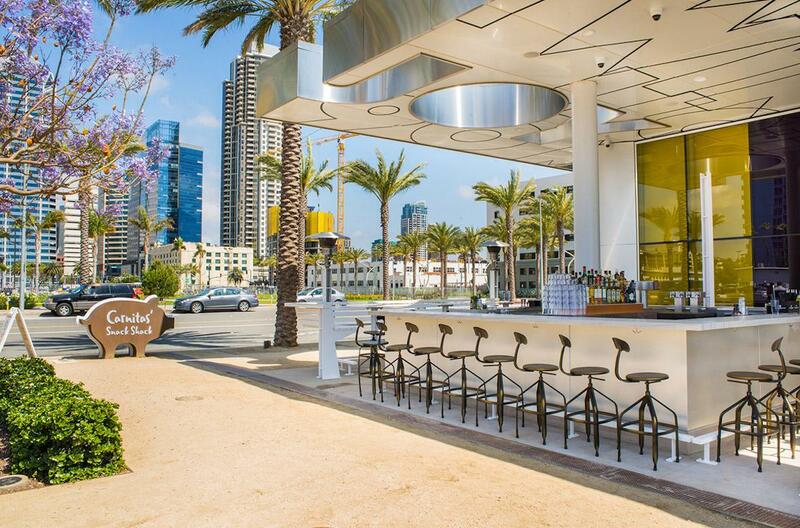 After the success of the original North Park location, the lively squad behind it decided to add a new location in 2016. Events here come with private catering with a completely customizable menu courtesy of an award-winning chef. Honestly, who doesn't love farm-fresh food, local craft beer, and live music? When it comes to hot places to party, it’s pretty tough to beat Malibu. That’s especially the case here, where it’s as if someone dropped off five acres of France in 2016. 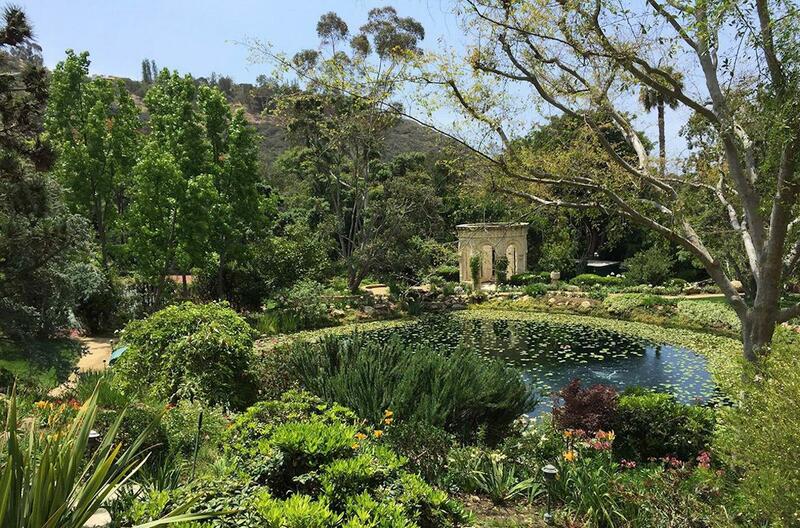 With exquisite foliage, horse-riding trails, and a private lily pond, this secluded estate instantly became one of Southern California’s best-kept secrets. And now you know. A sparkling gem in the Texas Hill Country, this fantastic escape is ready to make your event truly one for the books. 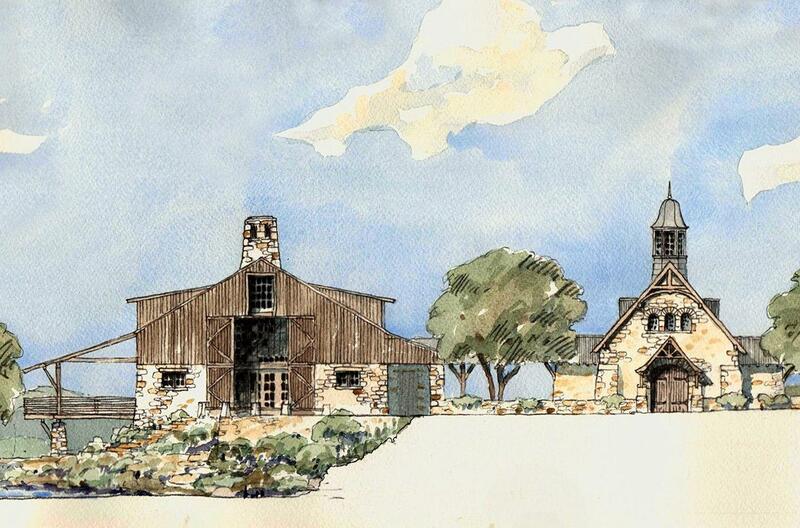 Come Fall 2017, this family-owned and operated ranch’s 540 beautiful acres and its 10,000-square-foot pondside barn will deliver an immaculate spot for weddings, retreats, formals, corporate events, you name it. In 2016, this big city oasis married romantic elegance with modern luxury design and topped it off with industrial-chic decor. 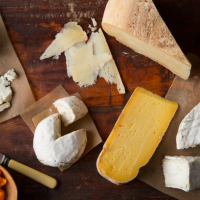 Now you can toast the good life in Washington Heights, thanks to one of the best teams in town. Party up to 600 of your favorites if spread out between the hall and the lawn, or sit up to 300 if you're enjoying a fancy dinner. This place might be the city’s best kept secret. The rustic 19th Century came alive in 2016 when this idyllic 15 private acres opened its doors to Sullivan County. 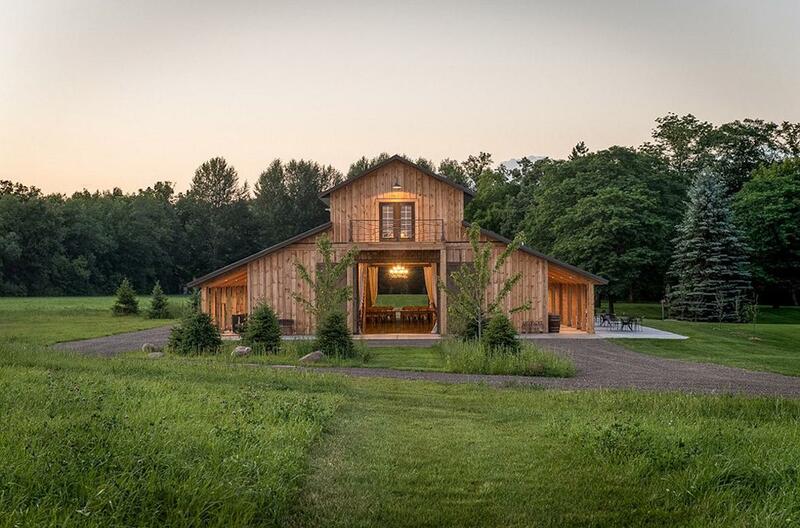 Near the scenic Delaware River Valley, this wonderful barn’s interiors were intimately designed and its furniture and fixtures were handpicked. 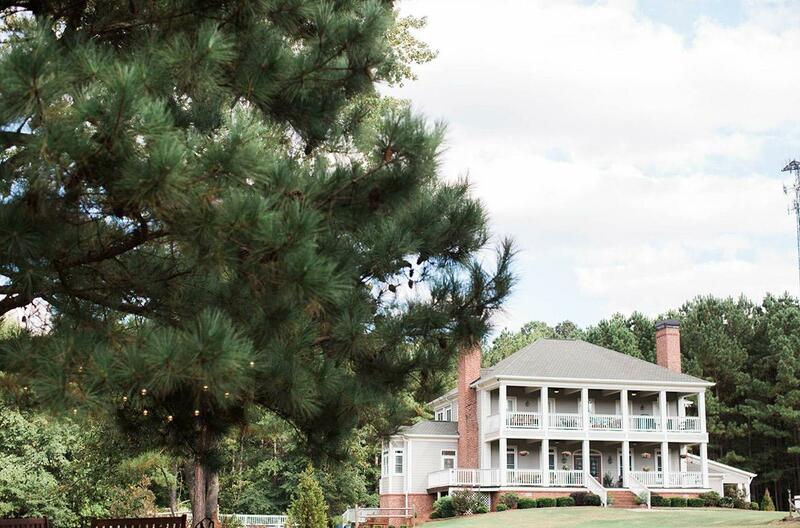 With a main house, two guest houses, and a chef's kitchen to help celebrations, it’s nearly impossible not to throw a killer event here. This made one heck of a 2016 addition to the already very hip Liberty Station. 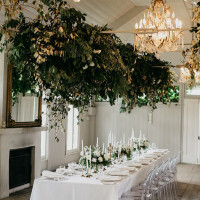 Although the shop sells home goods, the private patio features a beautiful long wood and steel banquet table made from an olive tree and can be rented out for intimate, conversational events. 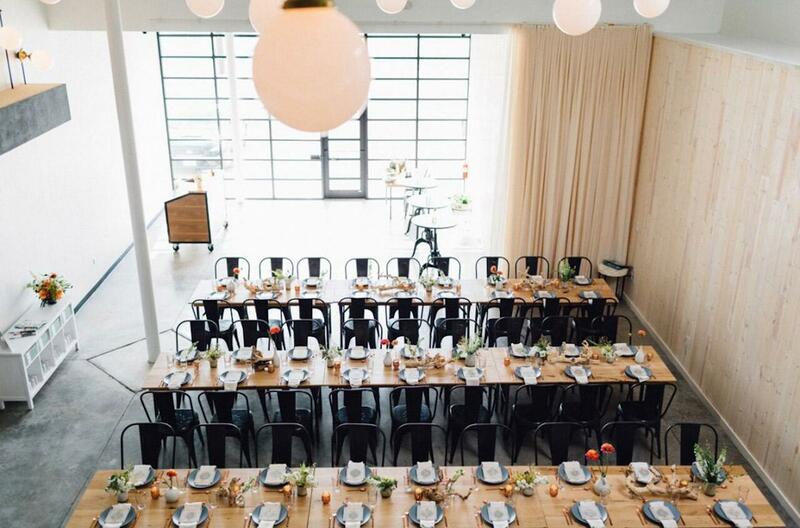 It’s seriously perfect for birthday parties, rehearsal dinners, and baby or bridal showers. In 2016, this picturesque property offered a whole lot of country charm in the East Tennessee Valley. 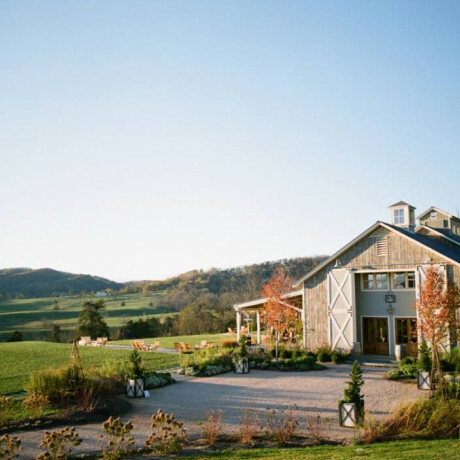 Surrounding the 8,000-square-foot barn venue is several lawns as well as a vineyard, pond, and plenty of woodland.The venue's executive chef, Toni Fontenot has 25 years of culinary excellence and she is ready to deliver extraordinary cuisine that looks beautiful. That’s a whole lot of bang for your buck. 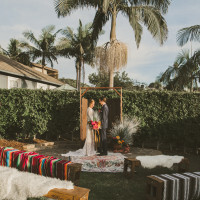 Originally opened in 1946, Saltwater Farm has endoured some serious facelfits with the help of two new venue owners who have dabbled in interior, floral and event design. Gardens, walkways, mini-barns, gazebos, and several outdoor vignettes now come together to enhance the farm's original enchantment. 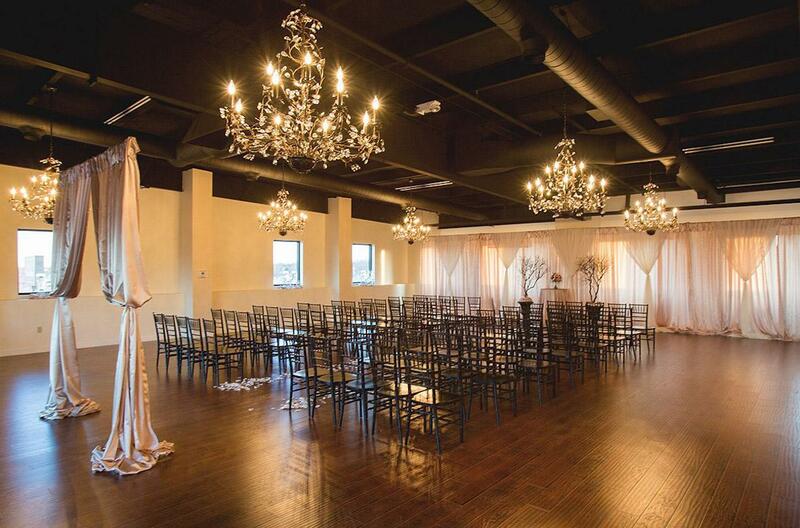 Opened in 2016, this stylish high-class loft ensures that your event takes on an intimate setting and a personal touch. Hell, your guests might not want to leave. 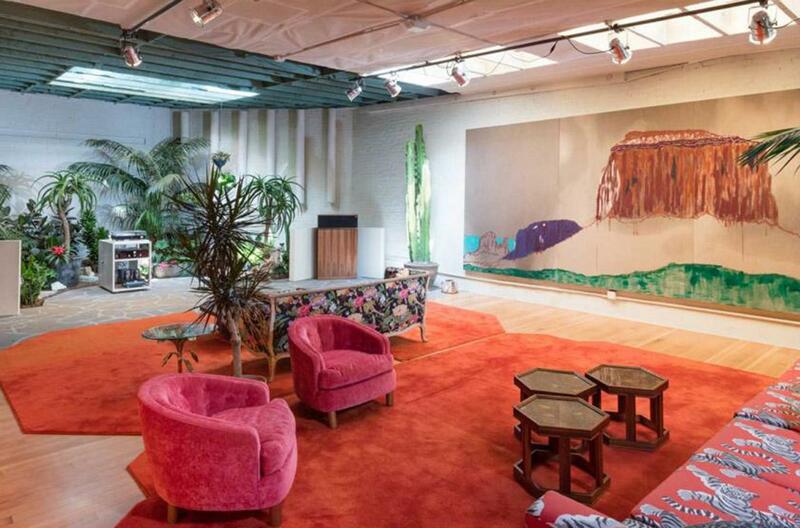 It's like hosting a party at home, except that it's in a killer downtown space that’s colorful and charming without overdoing it. This eatery became an instant favorite of the River North neighborhood upon opening in 2016. It created its own style by combining early 20th Century class in decor and architecture with handmade Oriental screens and unique birdcage pendant lights. Host an event here and watch your guests gush over authentic and refined Chinese cuisine, whether you hire the Imperial Room (up to 30 guests), the Ming Room (up to 40), or the Main Dining Room (up to 120). 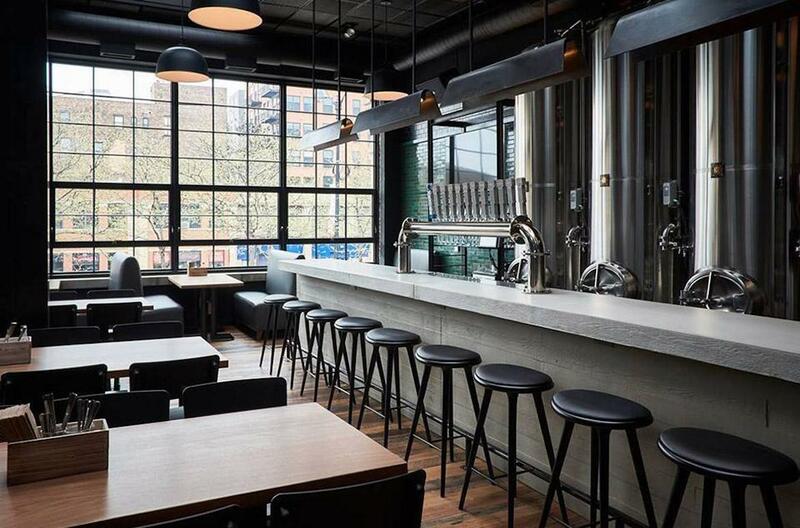 5,000 square feet of wood, steel, and brick make this bar-eatery one to truly behold. An urban oasis that came about in 2016, this decorative space playfully honors wanderlust and adventure in the big city. Seat up to 140 people in three distinct areas: an airy handpainted street-facing section with banquettes; a central bar with high-top seating and plenty of televisions; and a back patio with tall safari-style canvas tents that serve as pretty rad semi-private dining spaces. In Summer 2016, Ben and Jane opened this elegant and versatile space and it became a must-have. 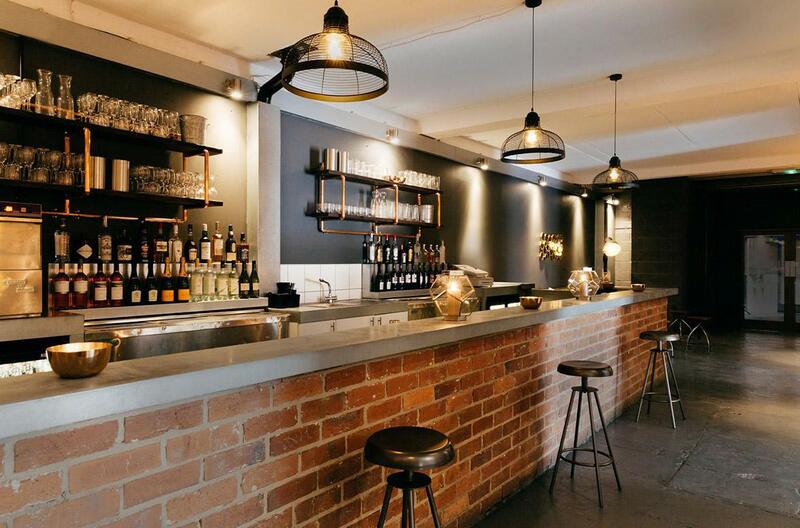 With exposed brick walls and large metal beams, paired with warm lighting and soft luxury furnishings, how could it not? Between the main hall, the bar, and the yard, this unique approach to aesthetics kills it in its developing industrial neighborhood. 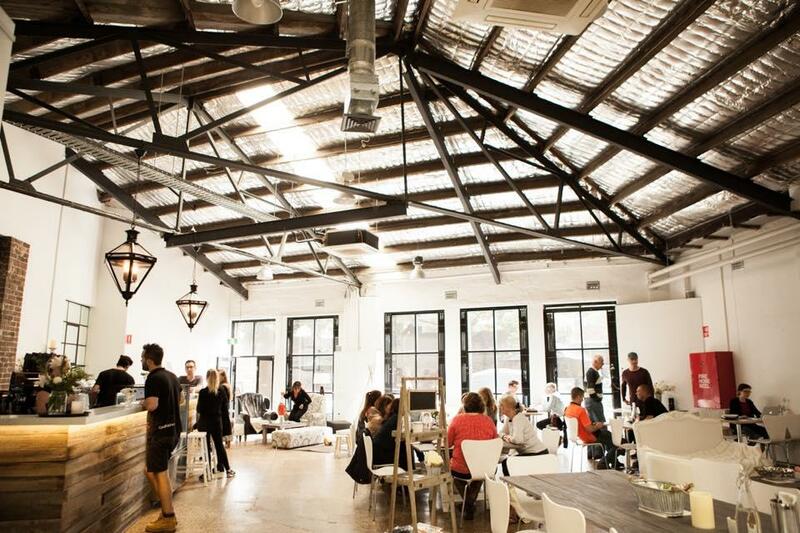 After a boho-chic boutique closed down, locals were bummed...only to become ecstatic to learn that it was being reborn as this stylish and atmospheric venue in 2016. 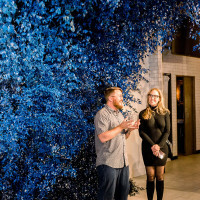 Housed in a 100-year-old urban space, the new venture is all natural light, raw wood, and a crafty color palette adds design flair to any event. Now it’s a downtown gem. 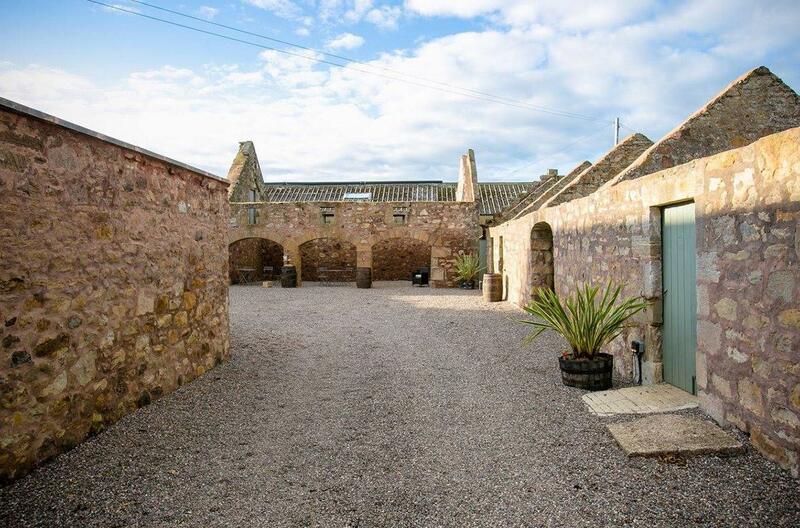 This stylish barn is the latest sweet addition to Aberdeenshire’s wild, beautiful heart. 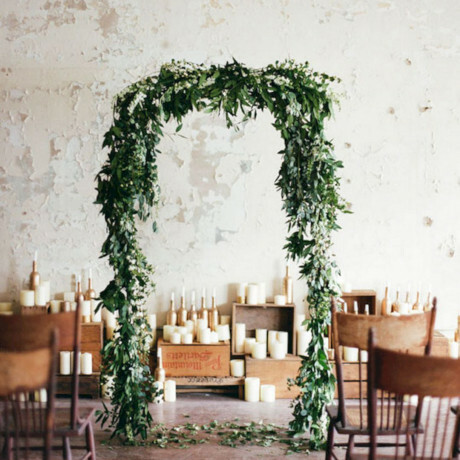 Coming early 2017, this luxurious yet rustic venue is basically the choice for romantic country weddings. 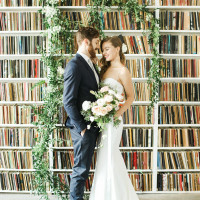 Given that it’s surrounded by such a dazzling natural landscape, you can likely assume you’ll have one of the most spectacular wedding photo album of all time. 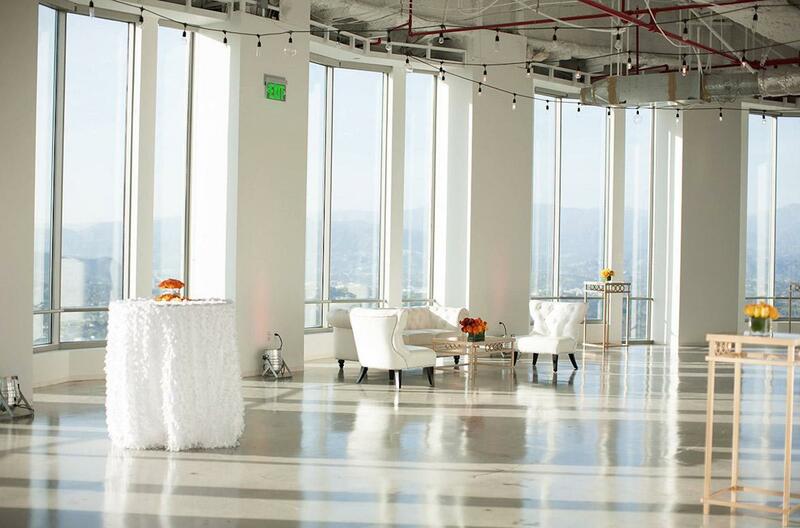 This sleek lofty space makes you feel like west coast royalty with breathtaking 360-degree views of the LA skyline. Opened in 2016 and perched on the 70th floor with big windows and plenty of space, any party here is one to write home about. Seriously though, how do you not feel like a big celebrity when you’re sipping booze 1,000 feet up and overlooking the City of Angels? After its grand renovations, this wondrously elegant venue shall sit on 15 rolling acres come its 2017 unveiling. From all accounts, it’ll looks like something popping out of classic French fiction. Whether you're in the ballroom, cocktail room, living room, wine room, or epic gardens, there’s really just no way you won’t feel like a sophisticate. An enchanting barn is coming our way in April 2017, and it promises to be the state-of-the-art countryside haven we all wish was at our disposal. 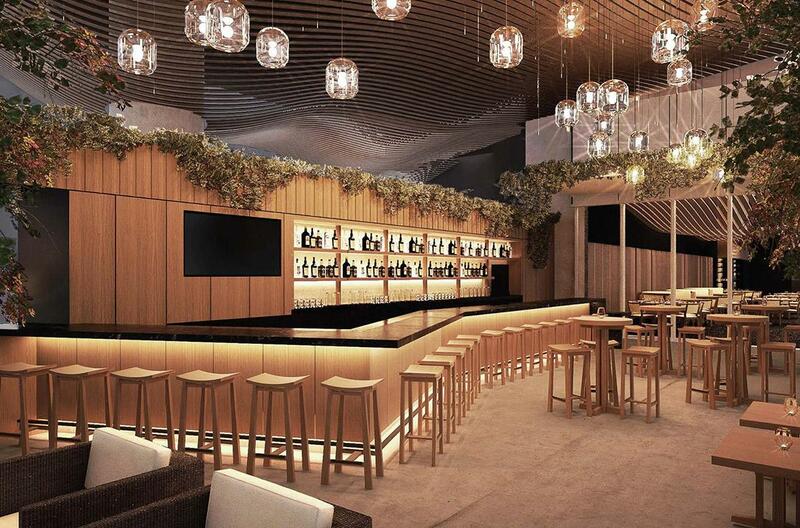 Able to accommodate between 150 and 200 guests, this cozy venue will offer up a spacious and versatile bar and lounge area, along with an ultra-modern kitchen. You may immediate think weddings, but it's equally ideal for corporate away-days and business meetings—or anyone who wants to play croquet. Back in the day, this was just a massive vacant lot. Seriously, we’re talking 25,000 square feet of nothing. But then, in 2016, by repurposing shipping containers, this East Village block opened to the public as an eco-friendly outdoor community space. 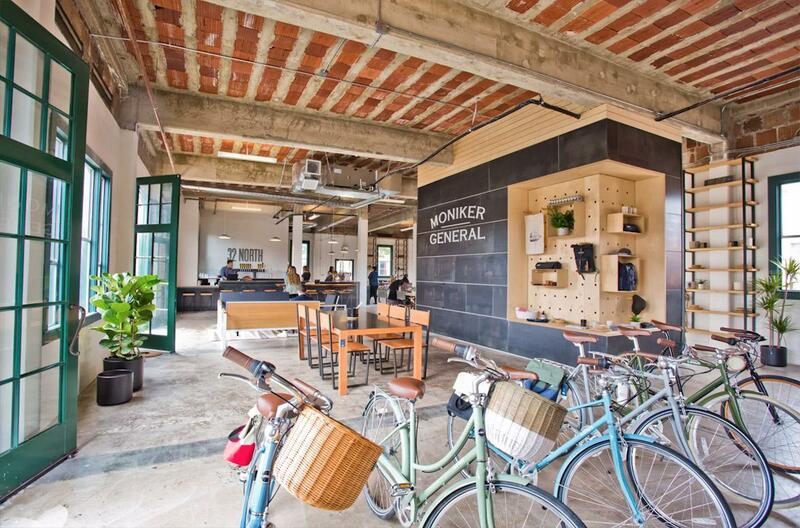 It even has a restaurant, coffee shop, beer garden, music venue, and dog park. Talk about innovative and sustainable design! In this historic village, a mystic yet elegant home was born out of a former Masonic Hall in 2016. After being meticulously restored and reinvented, it’s as retro as it is modern, as industrial as it is intimate, as organic as it is chic. 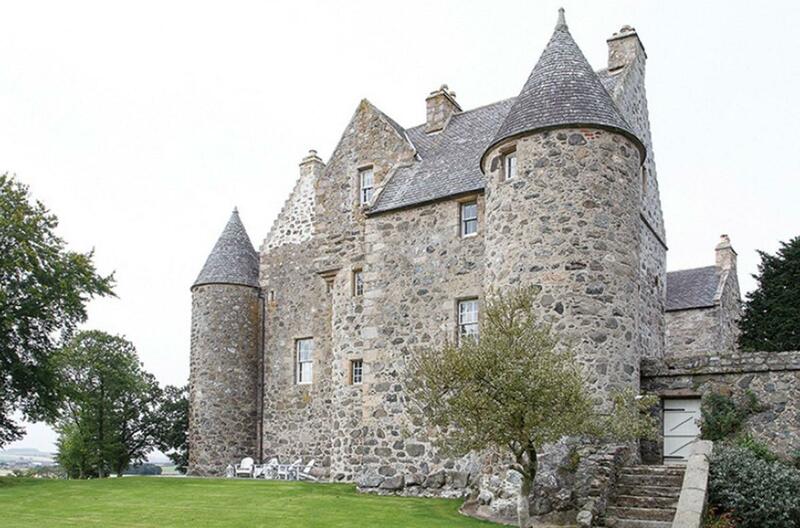 It has a stunning main hall, hip gathering spaces, and wonderful gardens.Custom-built wooden doors roll open, so that the light of the large terrace and its epic mountain views can be welcomed in. Feel the most at peace you’ve ever been while celebrating. This colorful haven for fun came back to life as recently as 2016. Ready to go once again on iconic State Street, this happenin’ joint is 4,000 square feet of beautiful hardwoods, raw exposed brick, and fine period-specific details. It was originally built in 1899 and its grand ballroom still has a working prohibition light from the the Roarin' '20s. It’s one heck of a place to hang. 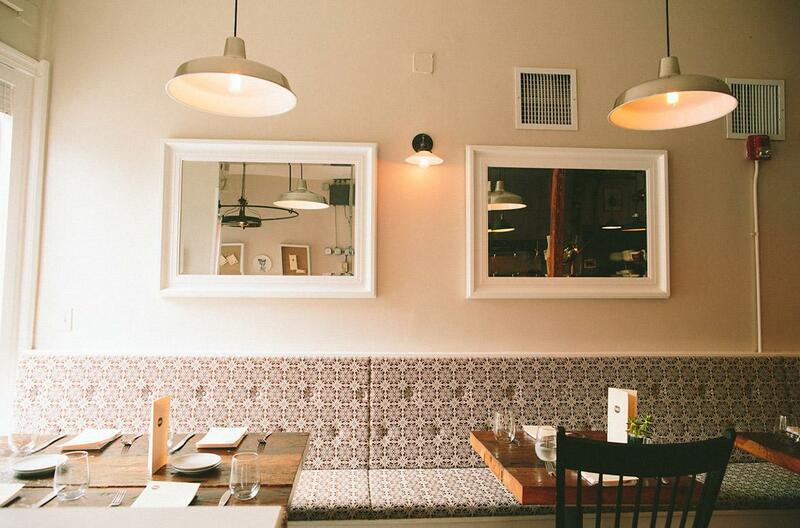 With a 2016 opening, this Oregon restaurant has been on many of the hottest restaurants of 2016 lists! You can book a gatheringfor parties of 8 or more through their events department. 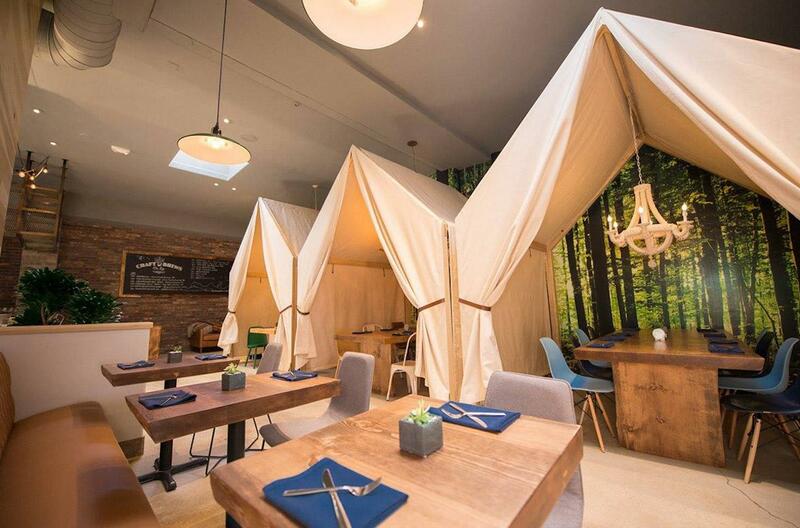 There is seating in the stunning dining room and additional seating in a cool canvas tent covered courtyard space! Prepare to feast on family style, slow cooked Korean fare. Yum. 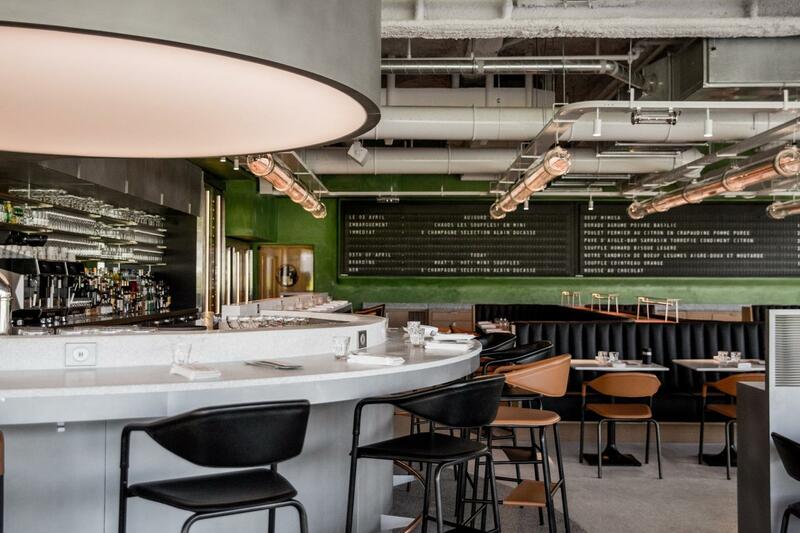 Champeaux opened it's gree and black doors in early 2016. 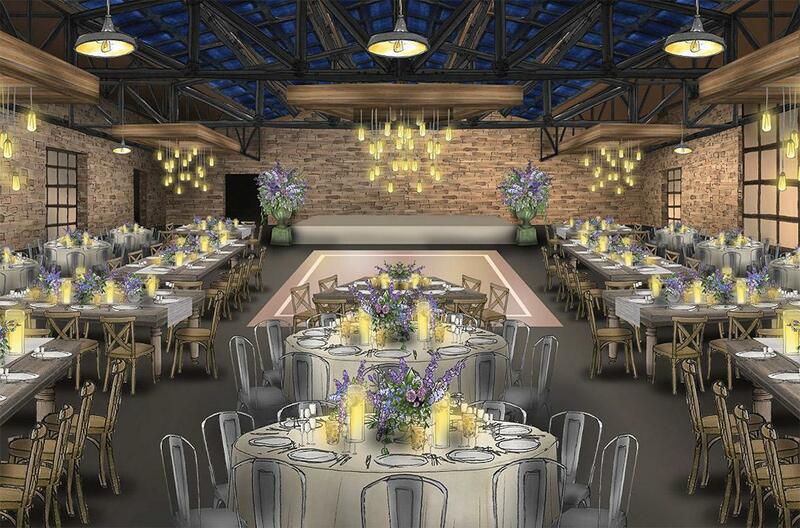 The large open space is perfect for large private events for 125 guests. 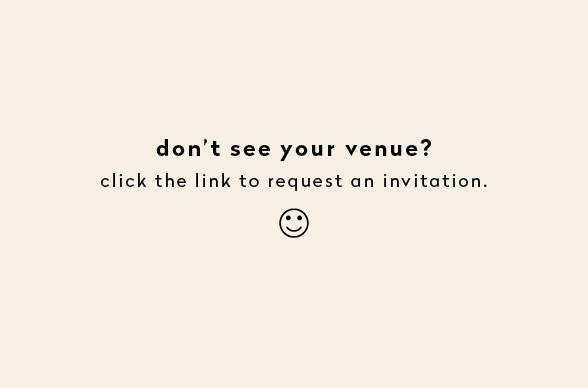 If you want to host something more intimate, make sure to book their swanky salon for dinner paraties of up to 14 of your nearest! In 2016, Chef Carl Dooley opened his eclectic 20-seat restaurant to serve up divine four-course prix fixe menus. 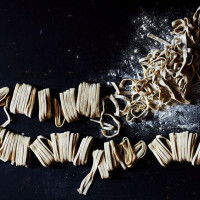 Those masterpieces that come out utilize French techniques, seasonal ingredients, and international flavors. It’s a personal experience, one you soon won’t forget. 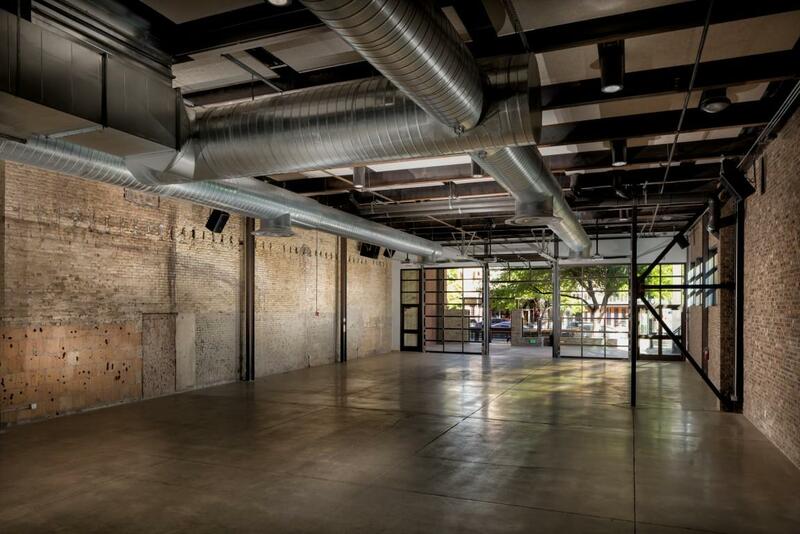 Throw the event of your life at this modern, blank-canvas event space in the Entertainment District. 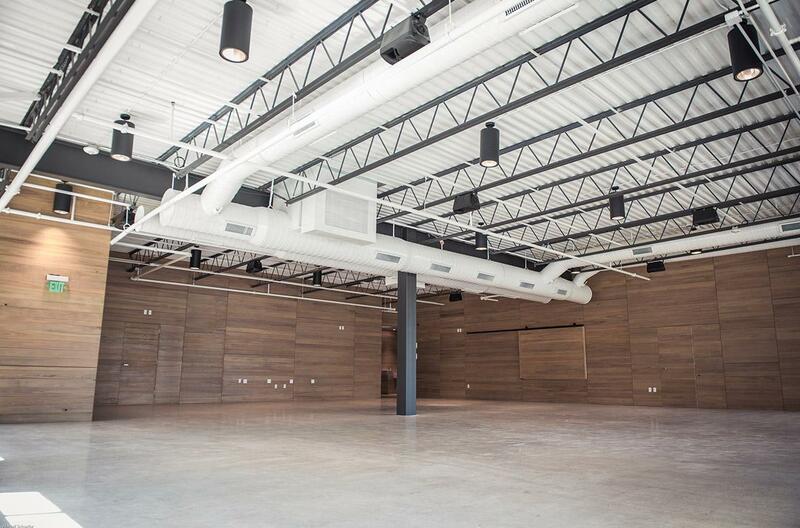 Opened in 2016, this smooth industrial setting of cypress walls and concrete floors lets you truly transform this spot into anything you want. It’s able to fit between 150 and 180 people, with an additional 40 on the patio. 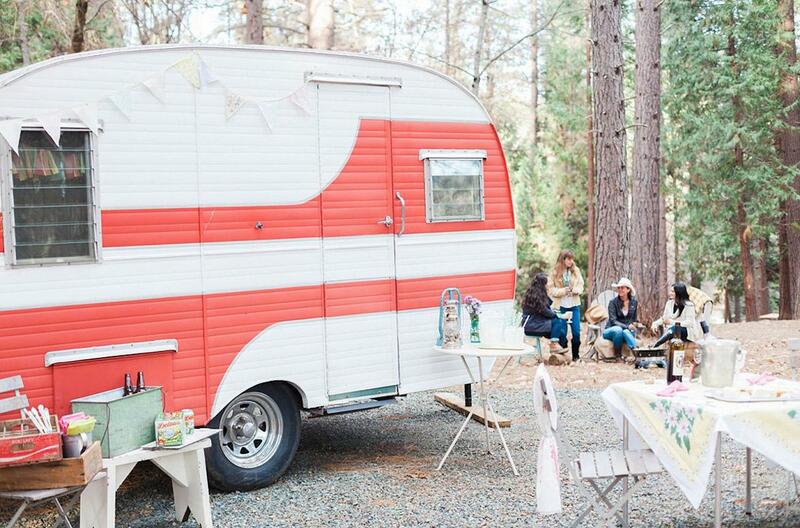 Just make sure to utilize the full-range sound system and catering kitchen. In 2016, the city got its first Venetian-style bacaro and wine bar. 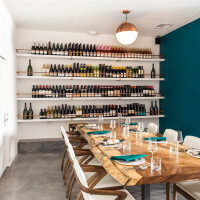 Casual yet chic, the tasty joint specializes in cicchetti (small bites) and Italian wines. 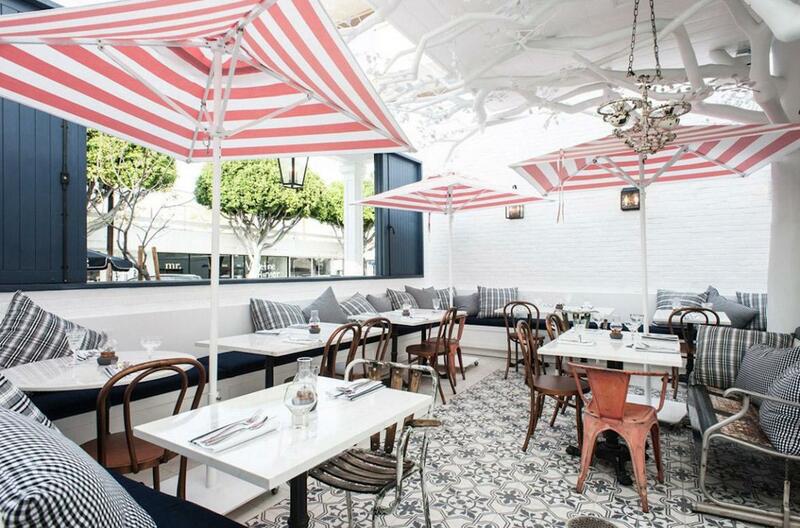 It’s a good time to be had whether you’re in the stylish interior or on the rear patio of this neighborhood hot spot. 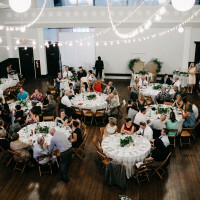 Depending on how many guests you have coming to your shindig, whether it's a corporate event or a social milestone with friends and family, the place can welcome up to either 65 or 125 people. 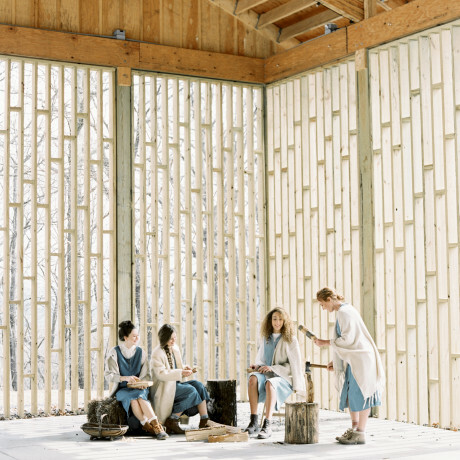 Spring 2016 brought us a wholly immersive experience of rustic charm. 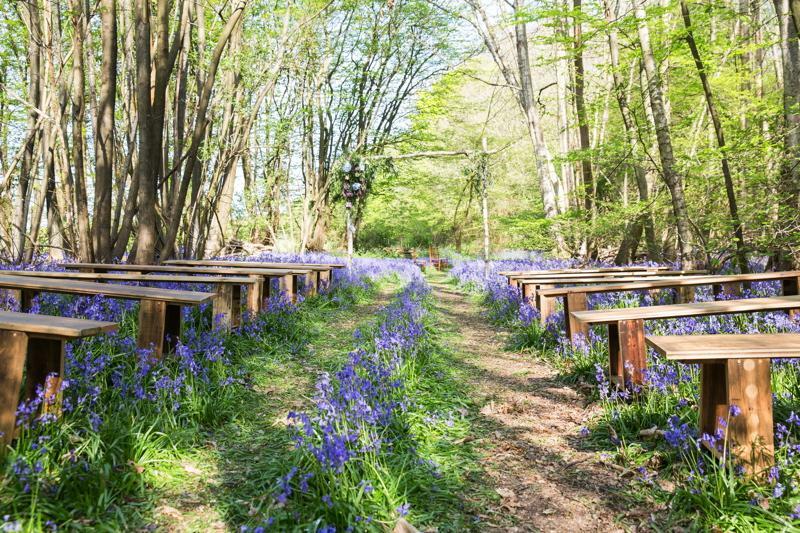 Truly, it's the ideal outdoor wedding venue. 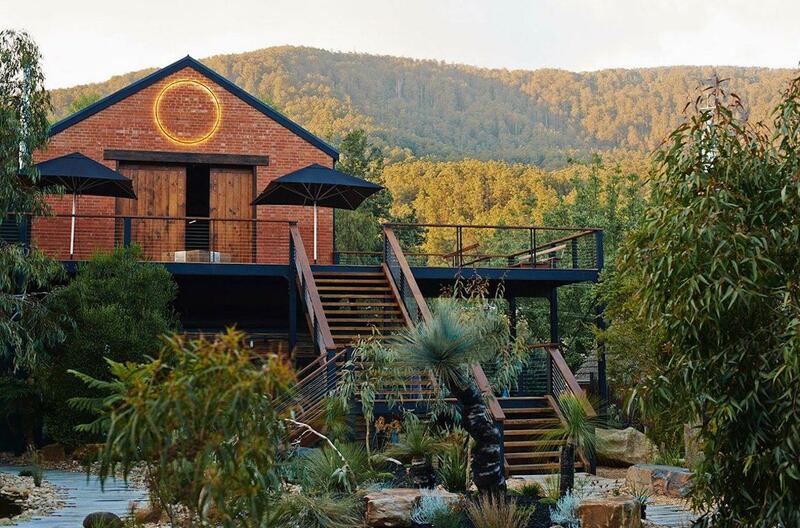 Boosted by breathtaking 360-degree views of local mountain ranges, this magnificent homestead gives you the chance to celebrate in the most relaxing environment possible. 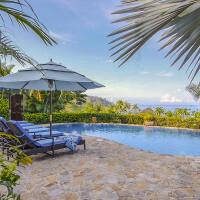 Enjoy cocktails and appetizers on the residence's wraparound porch or stroll the lush property surrounded by rolling hills and friendly horses. It’s an Americana paradise. 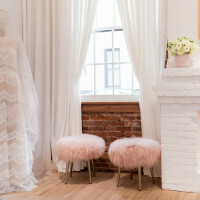 This unique boutique venue opened in 2016 to deliver a sincerely sophisticated and rustic experience. 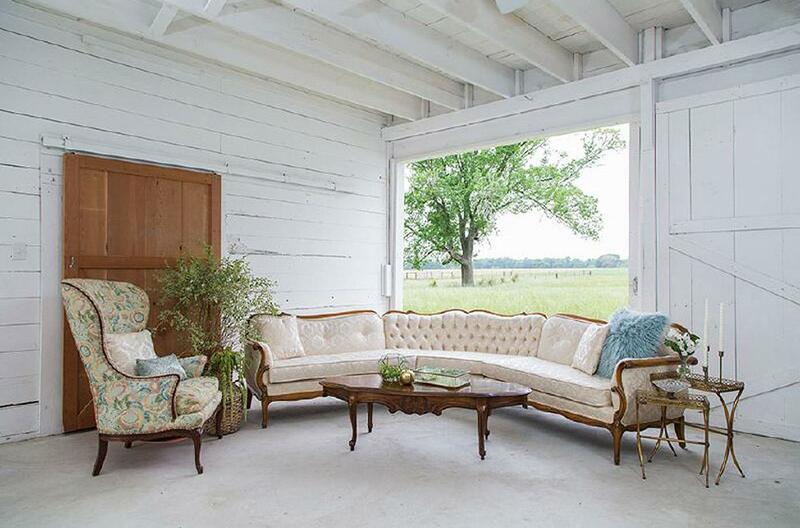 Tucked away in a picturesque pecan orchard, this beautiful 80-year-old authentic white wedding dairy barn and farmstead estate also features a greenhouse pavilion. 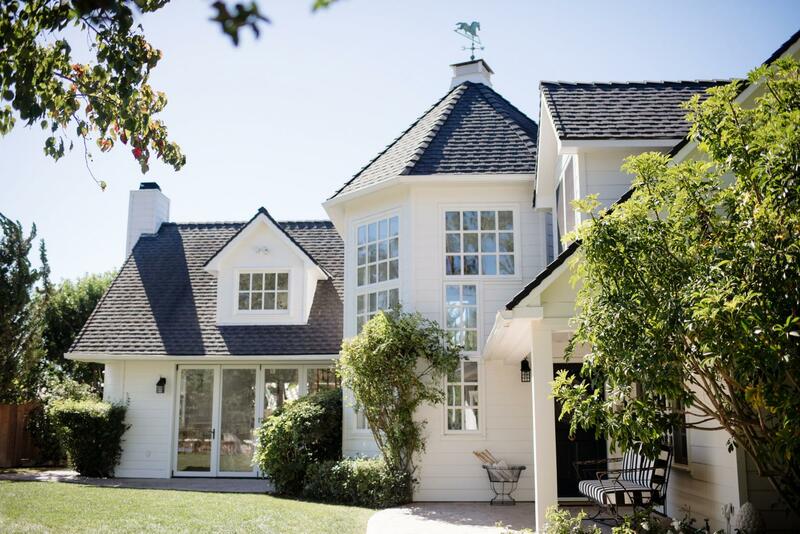 You get the best of both vintage charm and contemporary style here. 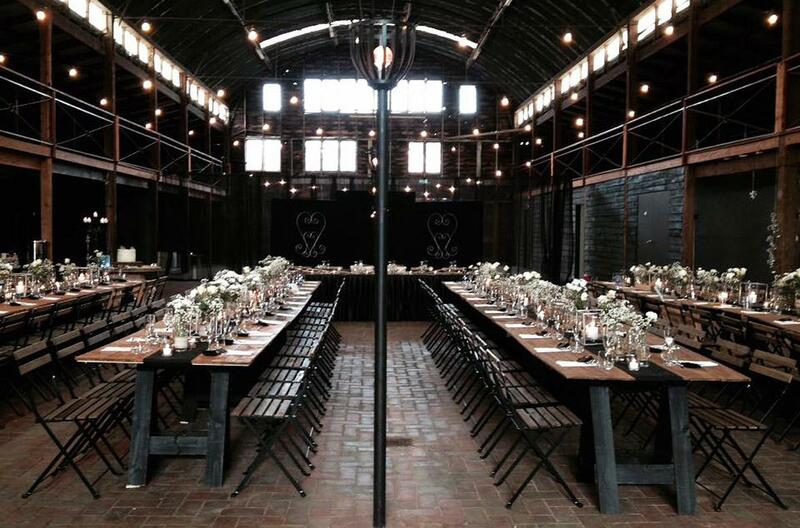 Now that this 100-year-old barn has been renovated, it’s time to celebrate. 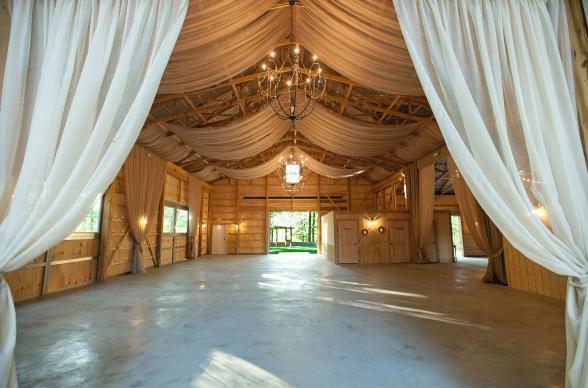 In the game as recently as 2016, the fabric-draped barn features twinkle lights and chandeliers with a fire pit outside. 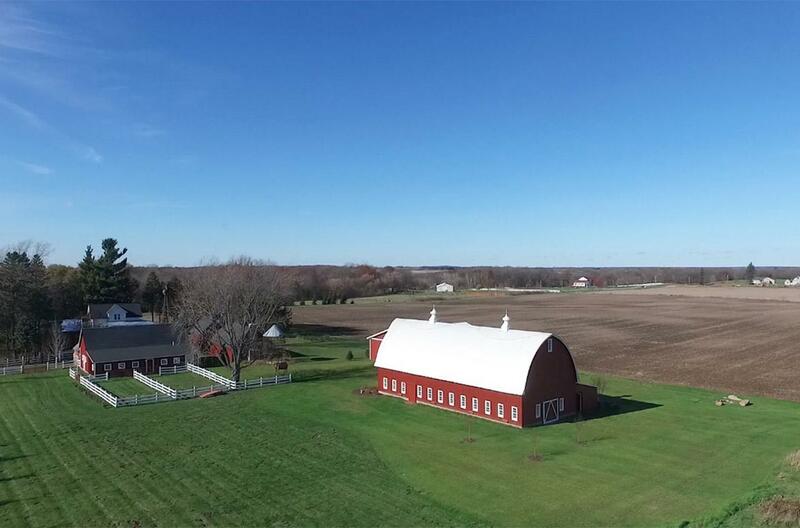 Beyond that is 23 acres of scenic family farmland, open fields, and woodland. Everywhere you turn can be a photo shoot. This supremely adored Japanese restaurant chain is always on point, and our nation’s capitol is finally getting one in 2017. 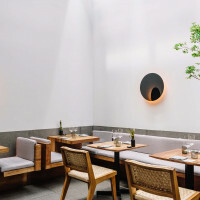 Continually innovative with its cuisine and stylish with its moody atmosphere and chic environment, this hip celebration of Nobu Matsuhisa’s dishes is a killer place to host just about anything. In April 2017, this wondrous relic from the 1930s will reopen as a beautifully renovated event space. 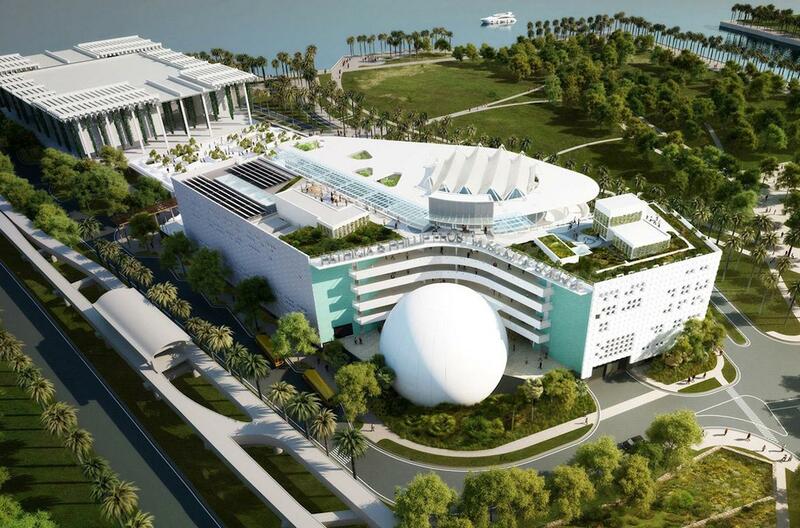 An iconic city landmark, this lively venue is going help transform the neighborhood into a thriving entertainment district. How can it not when it fits 2,600 guests for cocktail parties and 1,000 for seated dinners? 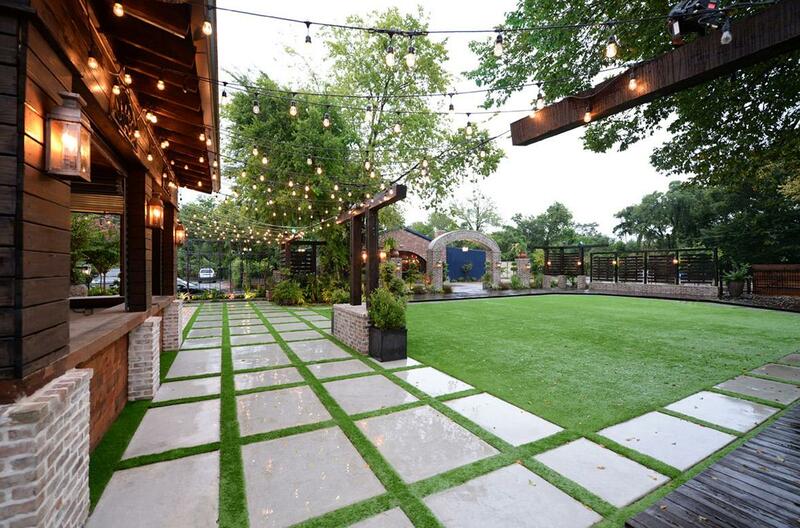 There's also a 7,000-square-foot courtyard and 12-20 spaces that work for offshoot rooms. Get in on the ground floor and be ready to host the biggest celebration you ever have. Purchased in 1994, the family farm was where patriarch Johnny Holden had worked as a kid. He had always dreamed of owning it. 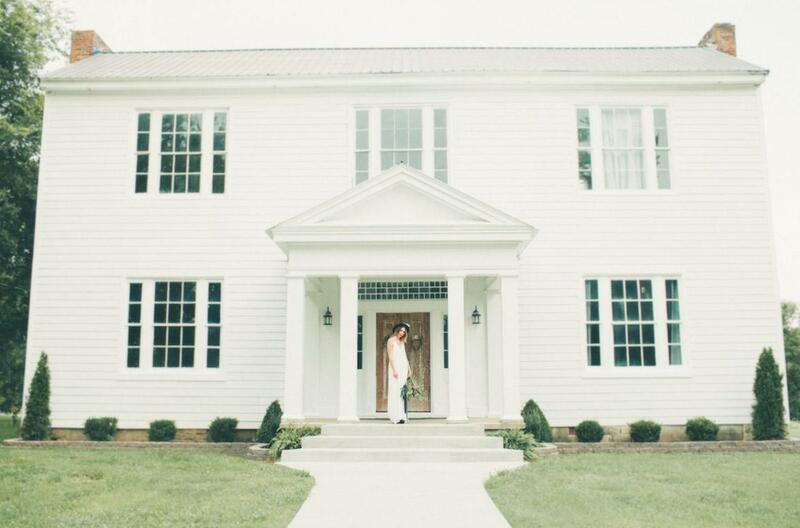 Much later, Brooke Holden had always dreamed of being married there, and after her wedding in April 2016, she was thrilled to announce its opening shortly after. 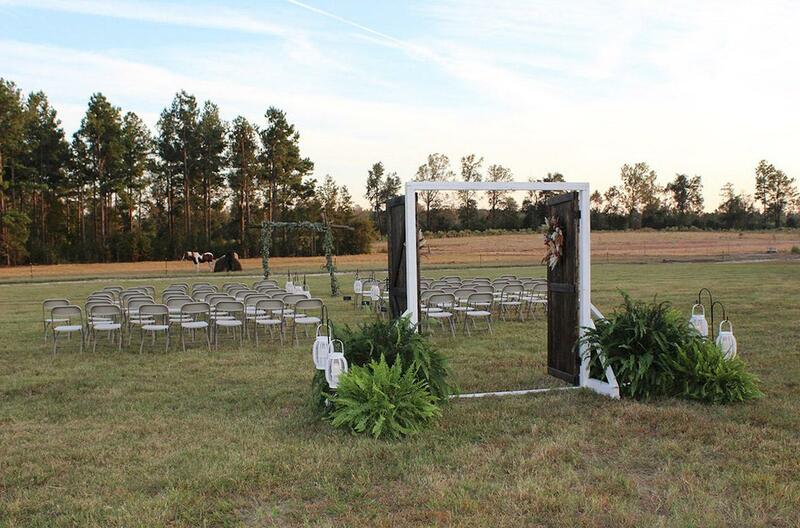 Just outside Myrtle Beach, the farmhouse and barn venues are 48 breathtaking acres of private farmland, oak trees, and sunflower fields. In short, it’s perfect. Come its 2017 opening, there will truly be few cooler places to throw a party. As futuristic as it is fun, this tremendously epic museum will look like something out of Disneyland’s Tomorrowland when it reopens in its new location. Sleek architecture and wide open spaces, all with fascinating scientific decor, makes this the perfect spot to celebrate...well, anything! 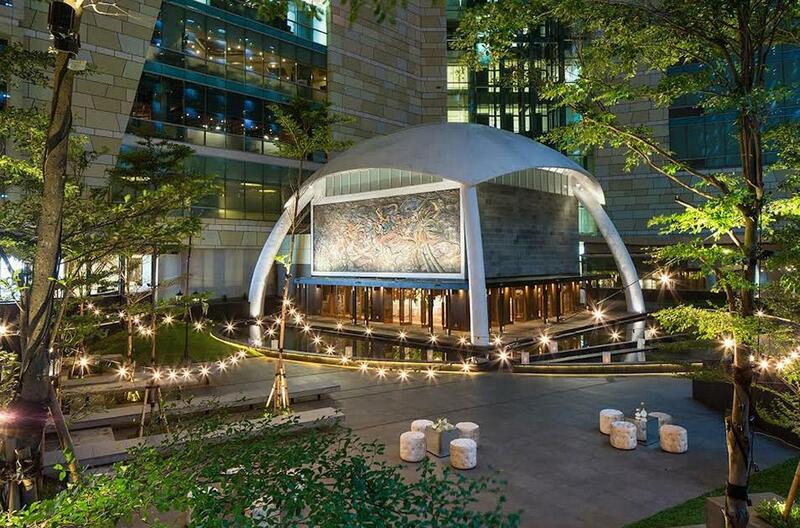 In 2016, this multifunction venue, quiet space, and tropical garden reopened in the heart of the city. It features a 135-square-metre doored dome that's bathed in natural light, with the interior being a spectacular pillarless space of high ceilings and classic artworks. Although each part of it looks stunningly new, much of it is actually a stylish relic of a golden age. In fact, President Soekarno held many state dinners here in the 1960s. Built in 1908 and reopened to new life in 2016, the Victorian House has kept its vintage charm and magnificent grounds. 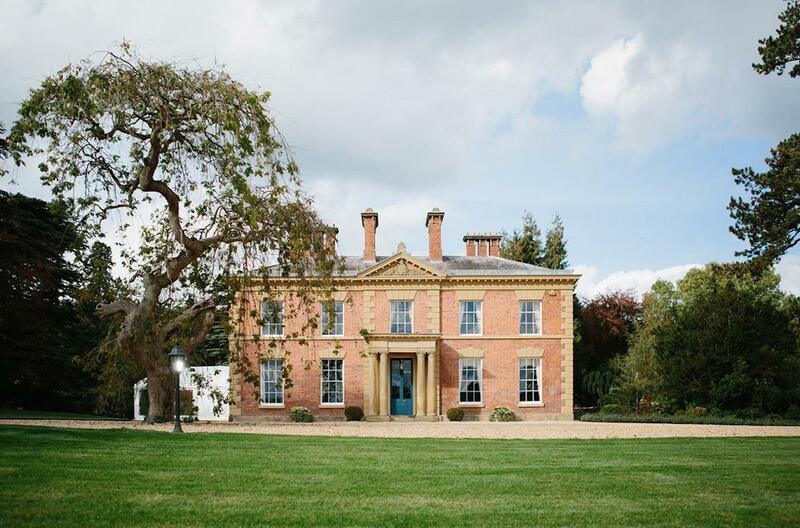 Steal away to this countryside paradise for serious dreams about a simpler life. Whether you're dancing up a storm in the Hay Loft or sitting easy beneath the Pergola as the sun quietly sets in the countryside, your time here is unforgettable. 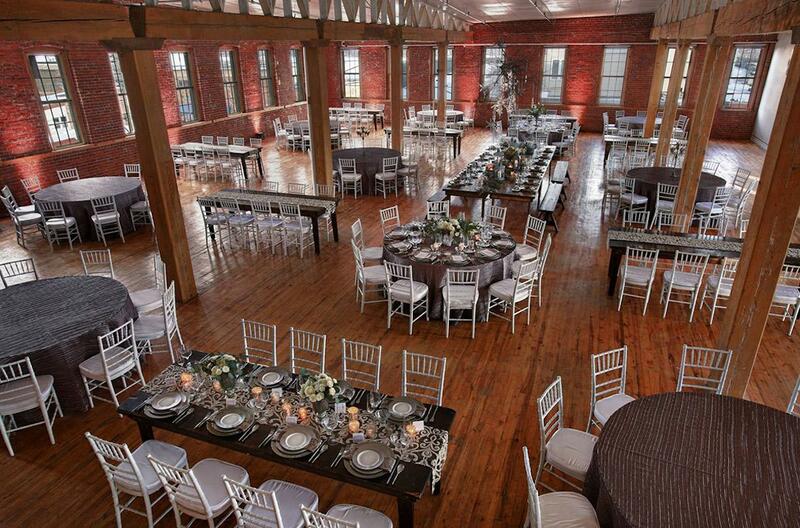 When the Connolly Shoe Factory was renovated in 2016, it became one of the largest event venues in the state. We’re talking 14,000 dynamic square feet of hardwood floors, exposed brick, down lighting, fireplaces, and water features. It has a full-service salon, studio, secret speakeasy, and a whole lot of timelessly elegant ambiance. Bring up to 720 friends and family for one of the most enchanting events ever. Blossoming to vibrant life in Summer 2017, this quaint and memorable farmstead will be a perfect romantic venue for a big wedding. 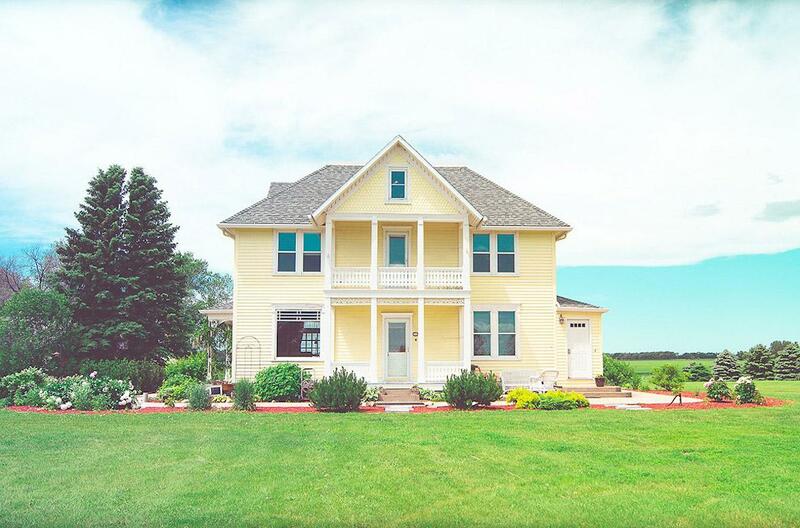 Situated on 40 acres of open space and perennial gardens blooming with wildflowers, this convenient location promises rustic elegance and country scape. 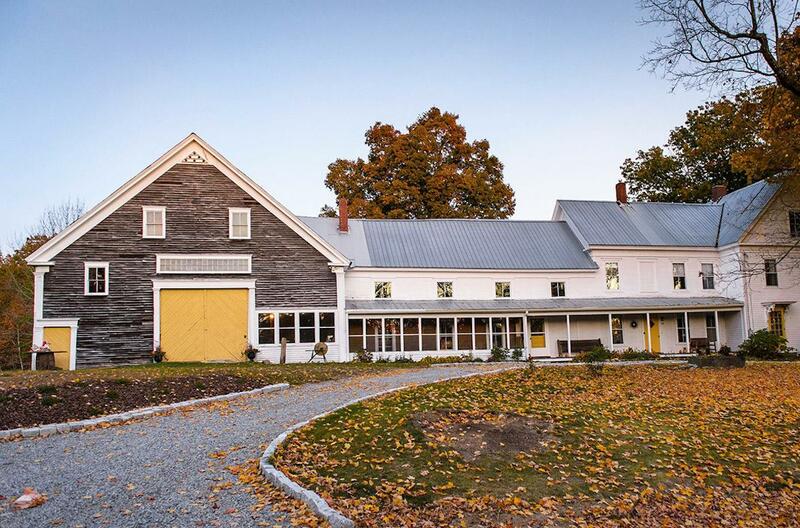 It's a truly gorgeous red barn that's been restored—like something out of a movie. Take a modern steakhouse and give it a colorful, dynamic, and chic lounge vibe, and that's the fine dining experience you can expect here. 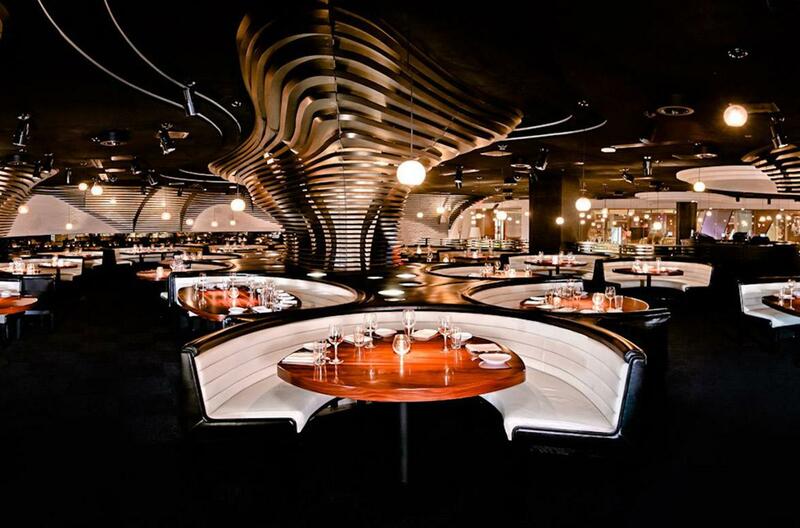 A vibrant 2016 addition a growing brand, this STK restaurant blends high energy and high class together like dancers. This places looks both timeless and sincerely ahead of its time, and people are flocking to it. 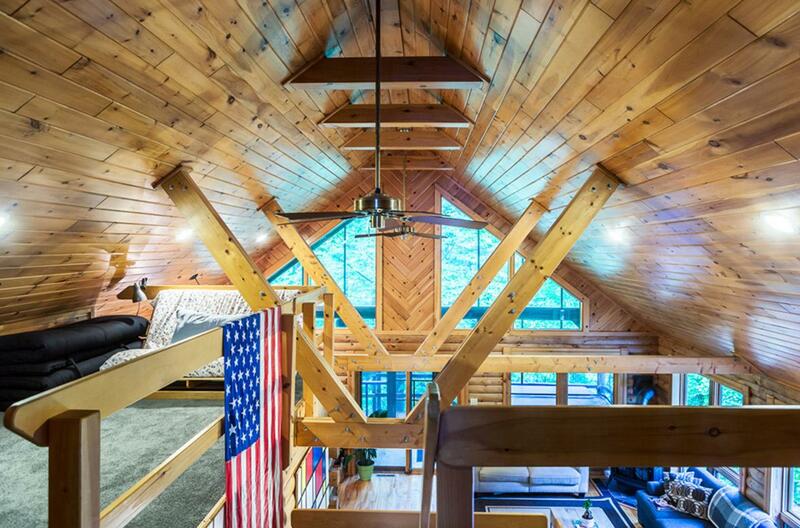 Life got easier in 2016 when this Hudson River hideaway opened up. Set at the foothills of the Adirondack Mountains, this 3,000-square-foot lodge is beautifully tucked away from the world thanks to 10 acres of woodland. After escaping routine, kick up your heels and play cards, darts, board games, or pool. If that’s not enough, there's yoga, golf, kayaking, hiking, rafting, and a hot tub. 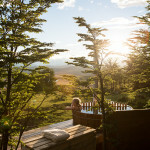 The lodge sleeps 20 guests across six bedrooms, so it doesn't even take that many to make one heck of a vacation team. It may be a contemporary urban loft in the South, but it feels like an Italian villa. That may have something to do with the large marble entry, arched French doorways, and plantation shutters. Opened in 2016, this 9,000-square-foot venue is a class act all the way, with ballrooms, crystal chandeliers, and cherry wood floors. Be on the lookout for Gatsby! It was a legitimate challenge to find a more unique new spot in 2016. No, really. This all-encompassing entertainment space features a wall of 19th Century doors reclaimed from a convent, along with stained glass windows and a massive writhing tree sculpture. It's a warm and wild “homage to vaudevillian eccentricity and Victorian decadence.” When it's not being rented out, it's a techno, live indie music, and nightlife venue. After renovations wrapped, it was only a matter of time before this historic relic of the early 1900s scooped everyone’s attention upon its 2016 reopening. 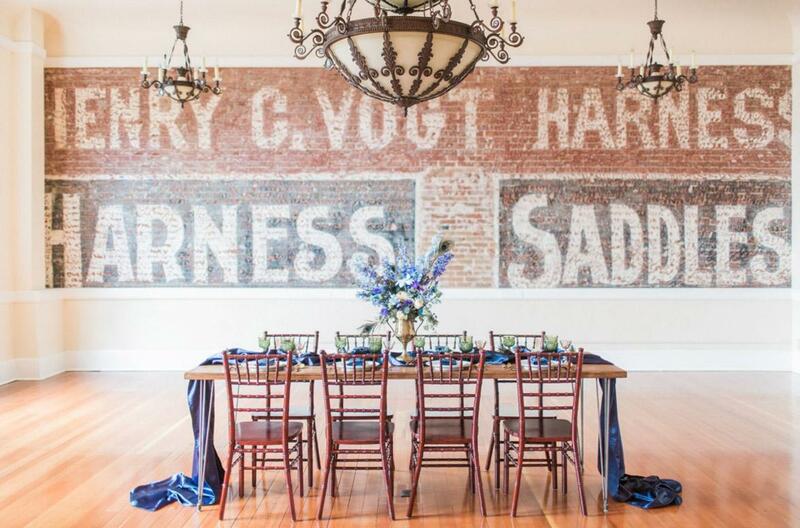 Few places make it harder to have a good time as this picture-perfect venue. Feel free to dance your heart out under the uniquely designed gabled roof or stroll the lush greenery amid twinkle-lit courtyards. On September 24, 2016, the latest museum of the Smithsonian Institution was finally open for business. It’s a powerful place that honors history with more than 36,000 artifacts, all housed in one of the city’s most impressive examples of architecture in town—and that’s saying something. 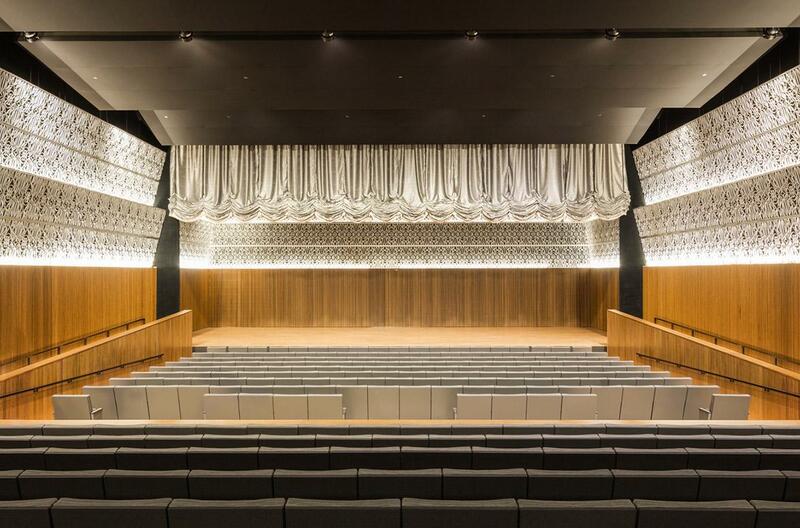 With its extraordinary facades, this dramatic event space ensures that any celebration here is one of grand class and style. 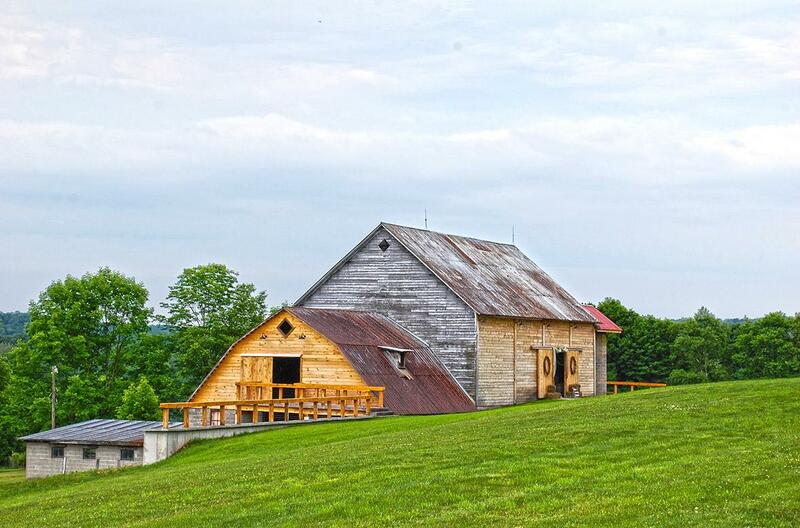 As of 2016, 300 of your nearest and dearest can pile into this stunning barn venue to have the best time ever. 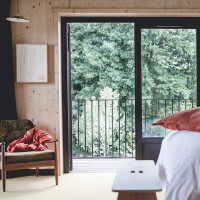 Surrounded by 30 acres of natural landscape glory, this escape also includes a three-story Georgian homestead, along with an indoor basketball/racquetball court and in-ground swimming pool. 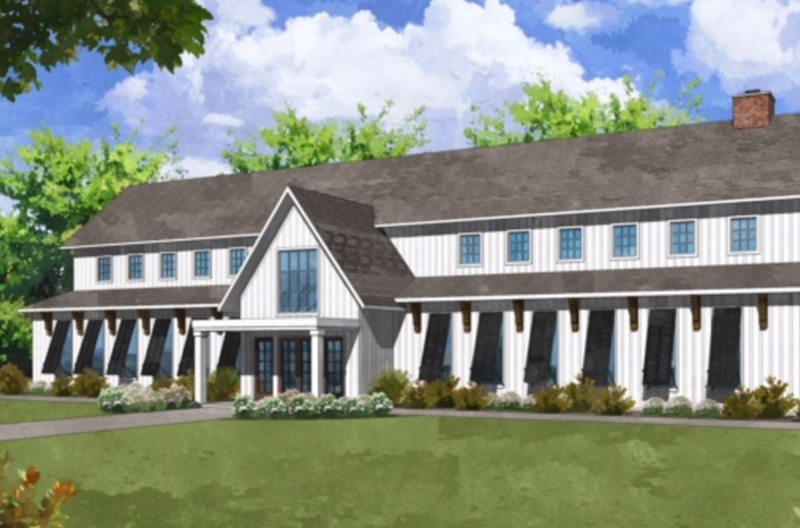 The barn features a full-service catering kitchen and the manor includes a two-story front porch. Everything you need to celebrate is already here—except guests. 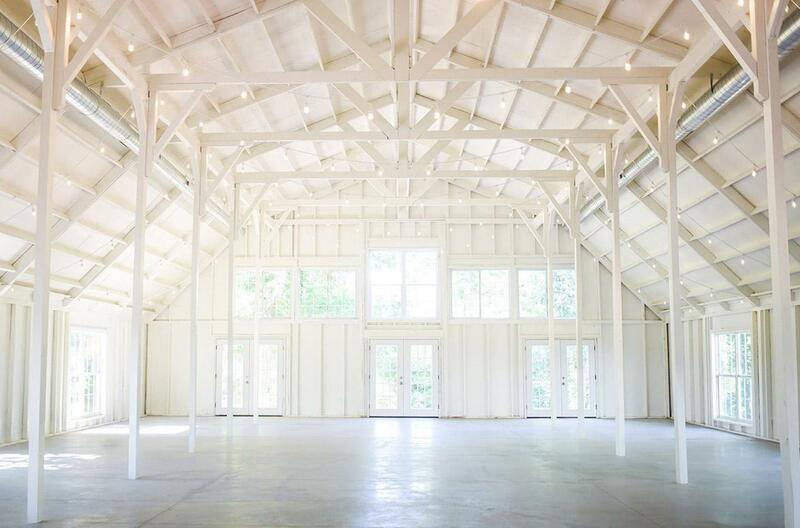 As of 2016, this 4,000-square-foot newly renovated barn venue is ready for your dancing shoes! 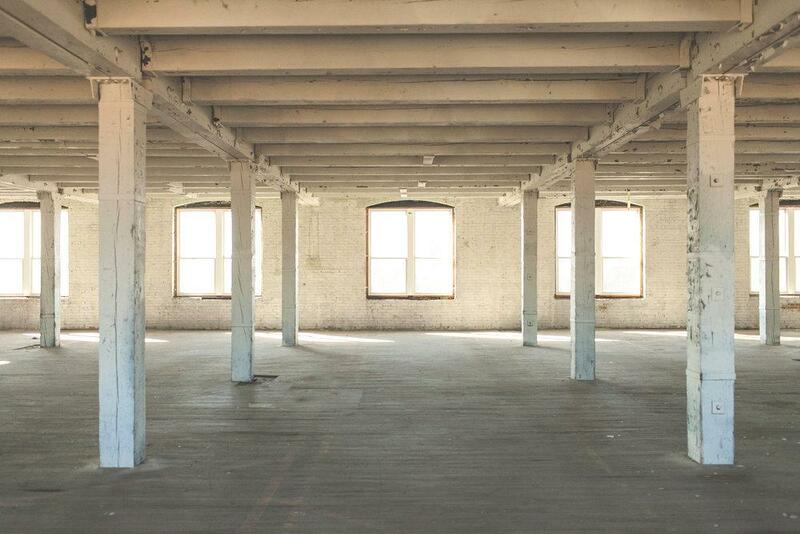 Given such an enormous space, endless floor plan possibilities await for up to 200 guests. 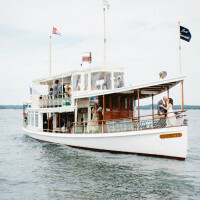 Plus, the staff here is more than ready to make your big day perfect. They’re ready to supply wedding favors of maple syrup in glass bottles. Also, the silo’s been transformed into a bar and there's the whole "amazing countryside sunsets" thing too. Where to begin with this one? Well, even though it feels like you’re traveling back in time by celebrating here, the venue opened in January 2016. 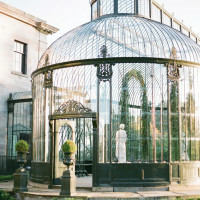 Unique, atmospheric, and surrounded by open skies as far as the eye can see, this indoor-outdoor space has kept its resilient architecture of a bygone era. 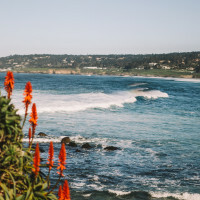 Originally used to house calves for a dairy, it’s now a happening place to be, with stunning beaches, traditional fishing villages, and pretty harbors just down the road. Opening in 2017, this shiny new venue just outside Minneapolis is ready to host any event (yes, any) year round. Those cold Minnesotan winters don't stand a chance against this fortified spot. 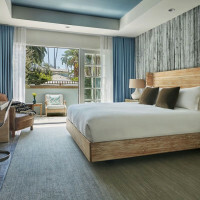 Modern luxury mixed with a little glam and lush surroundings guarantee that this lakeside gem will be a hit in the coming months. If you dig on fireworks, this place will treat you all kinds of right. 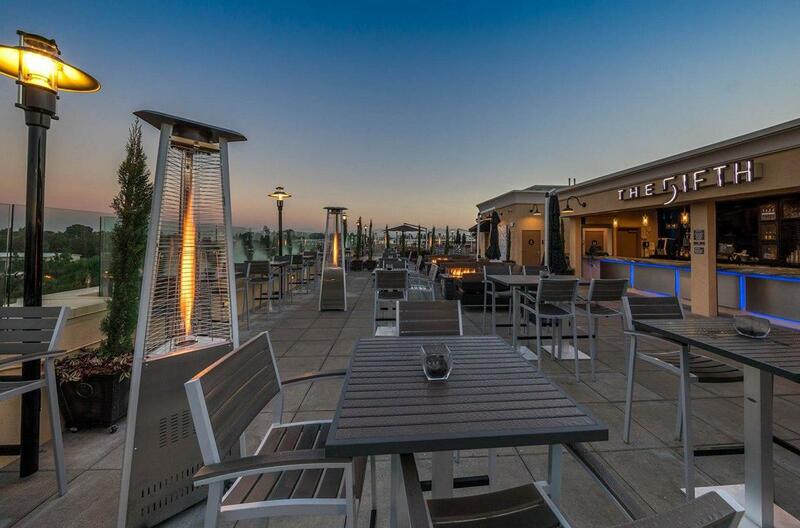 Opened in 2016, this modish 5,000-square-foot rooftop venue keeps a full bar and stunning views of Disneyland. That's a huge bonus considering the park puts on one of the greatest fireworks displays in the world. Lounge well into the night with your friends and family with artisan cocktails, light bites, and handcrafted entrees. Consider that warm Southern California evening breeze a grand bonus.